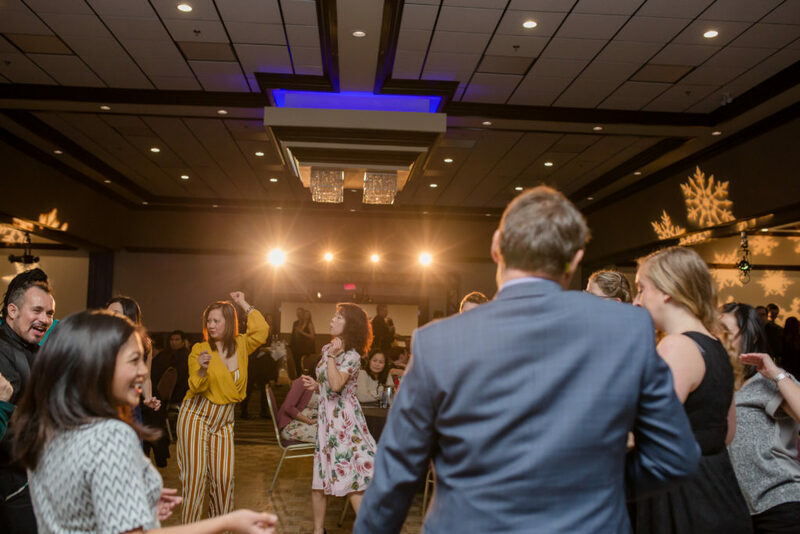 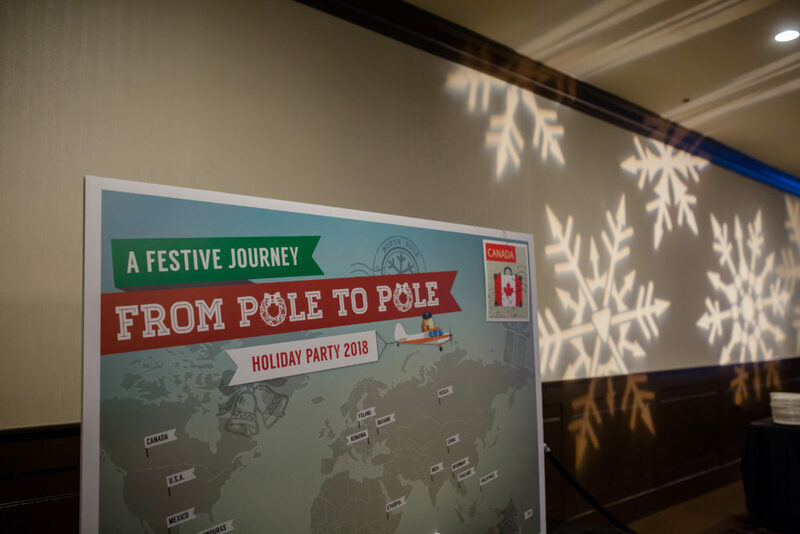 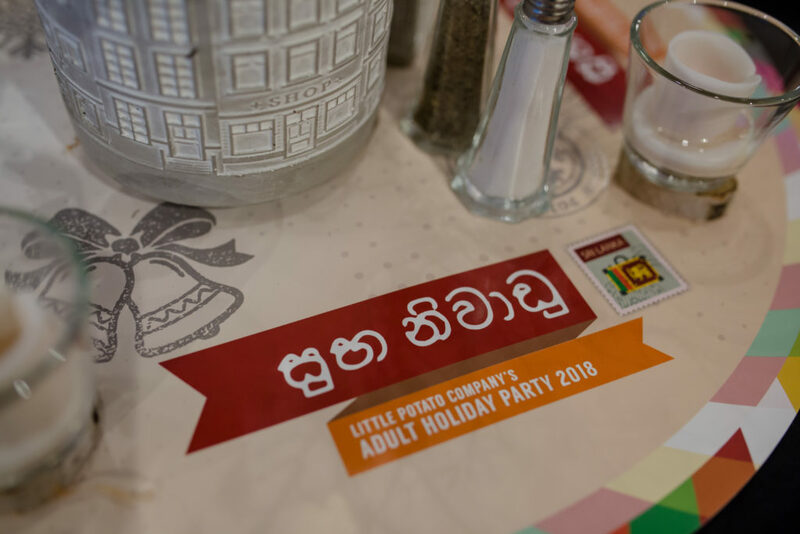 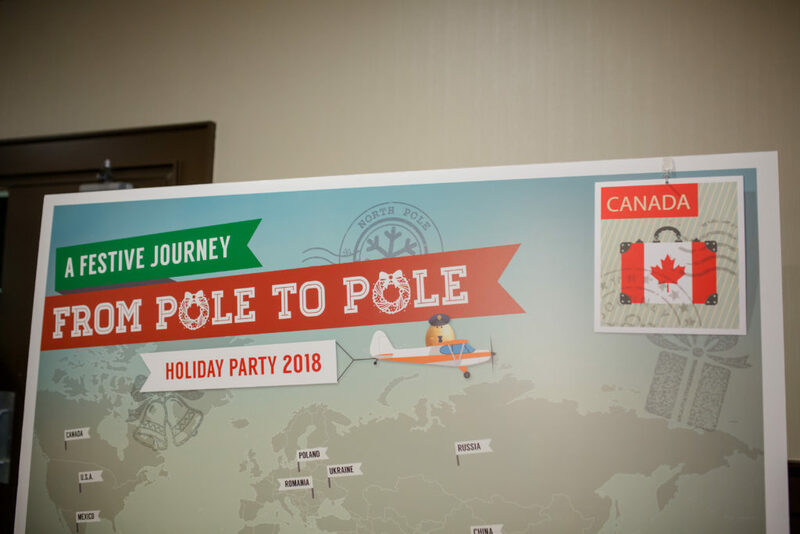 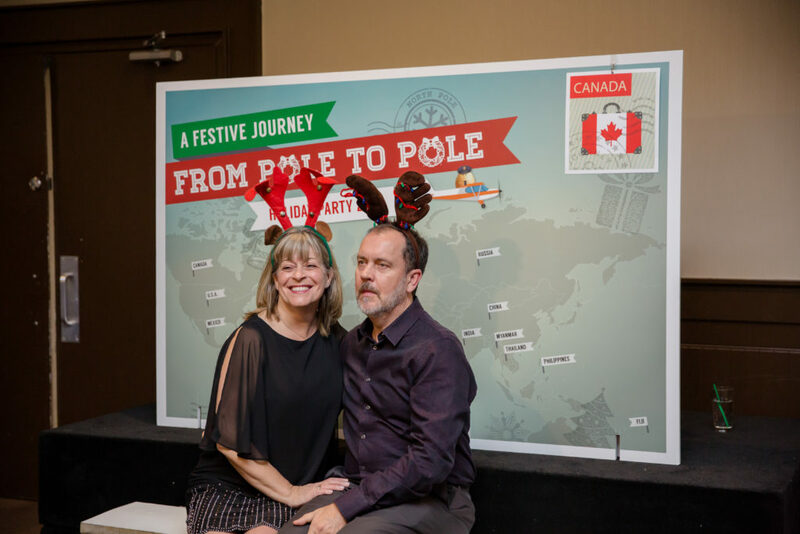 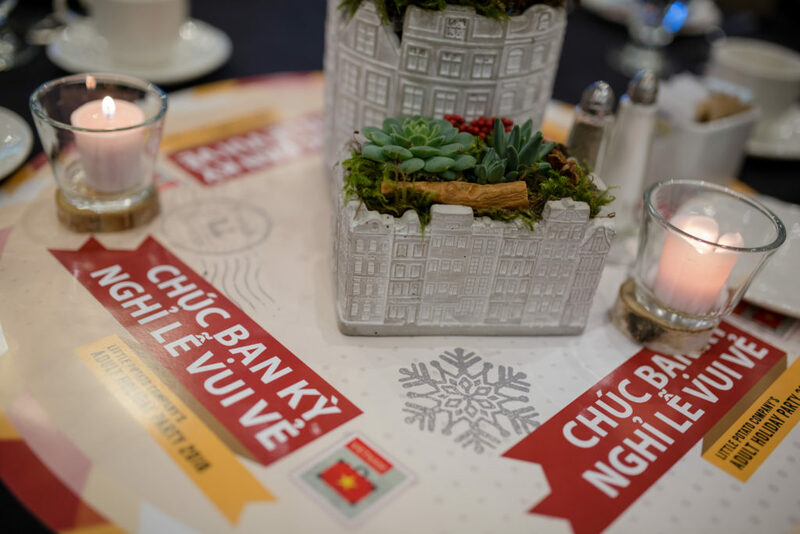 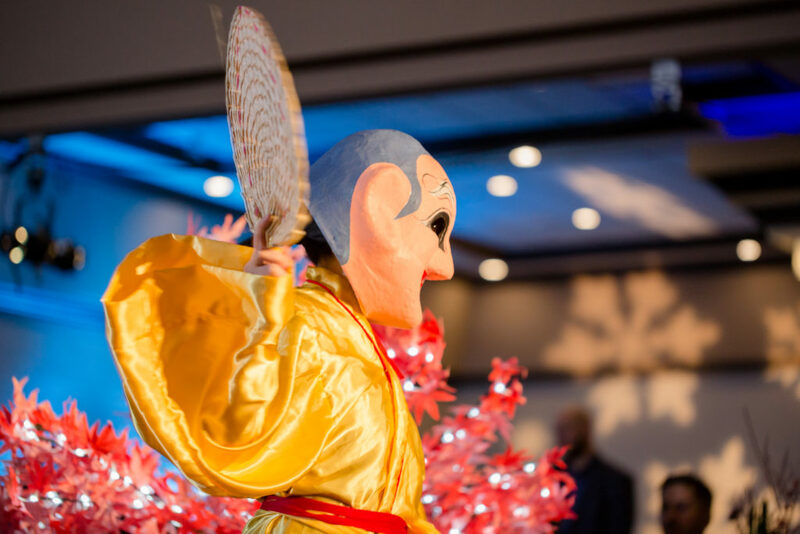 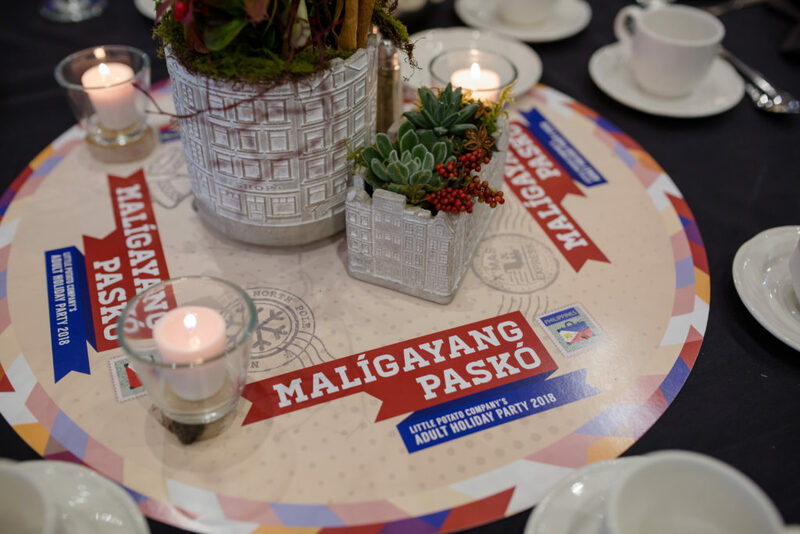 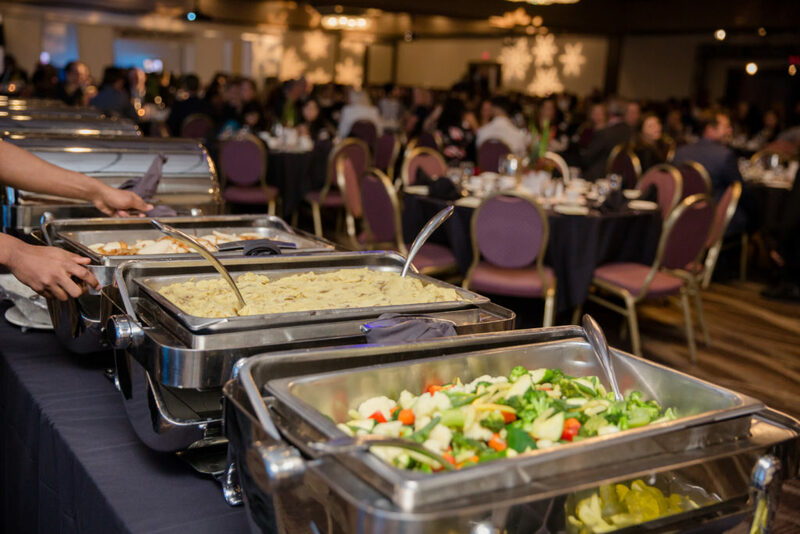 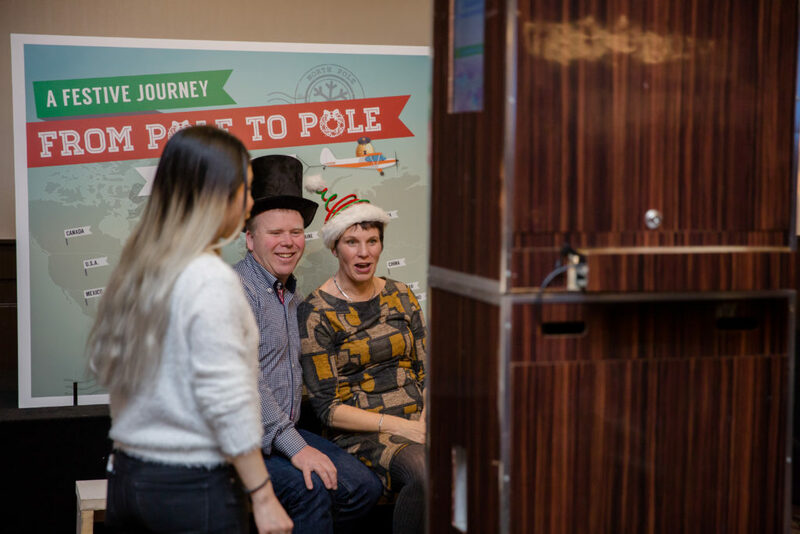 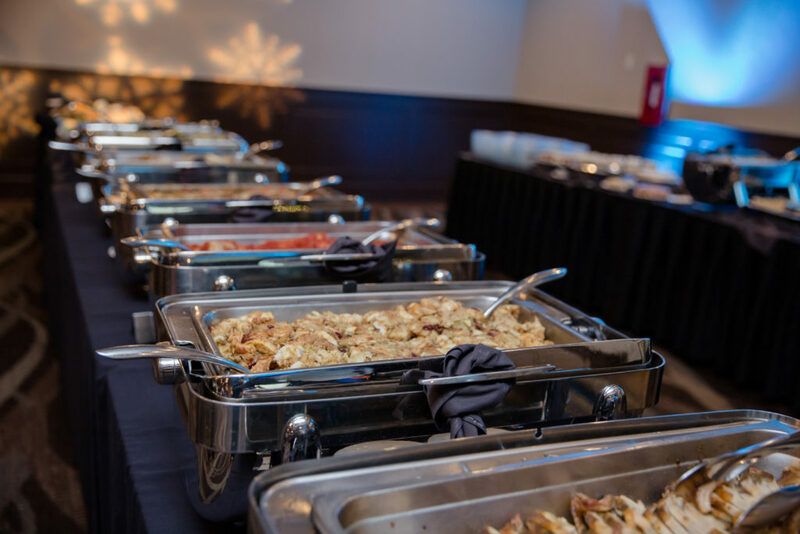 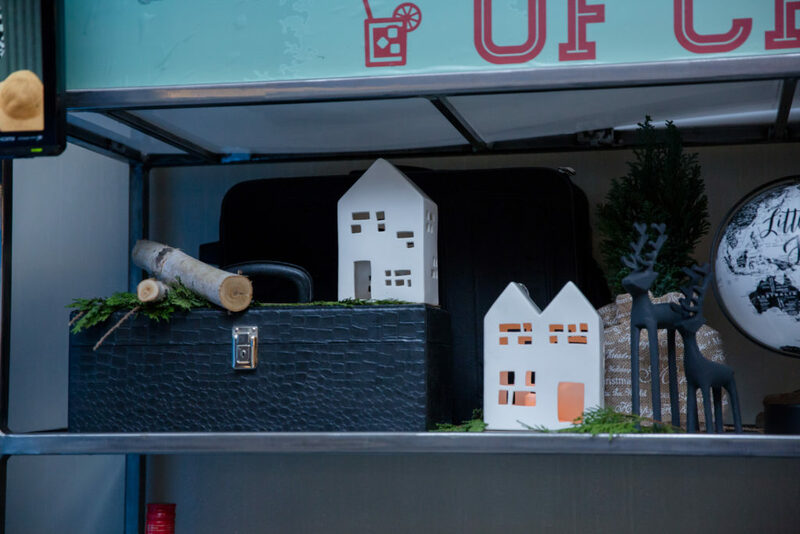 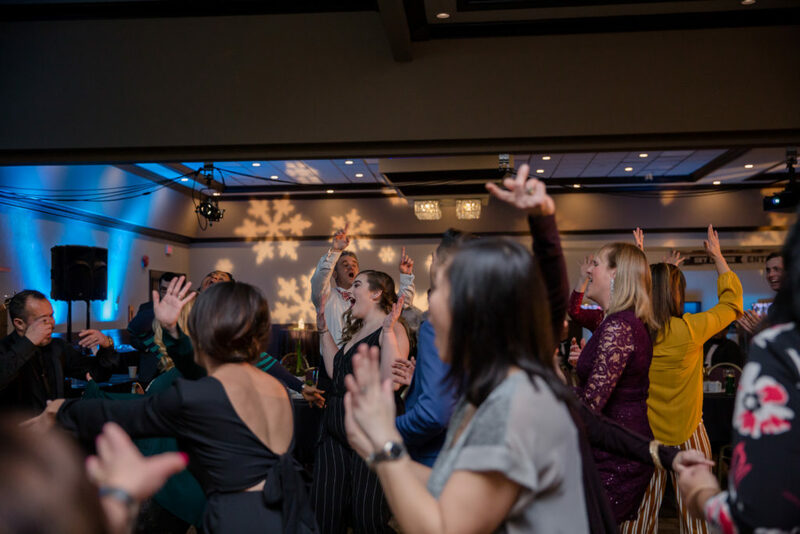 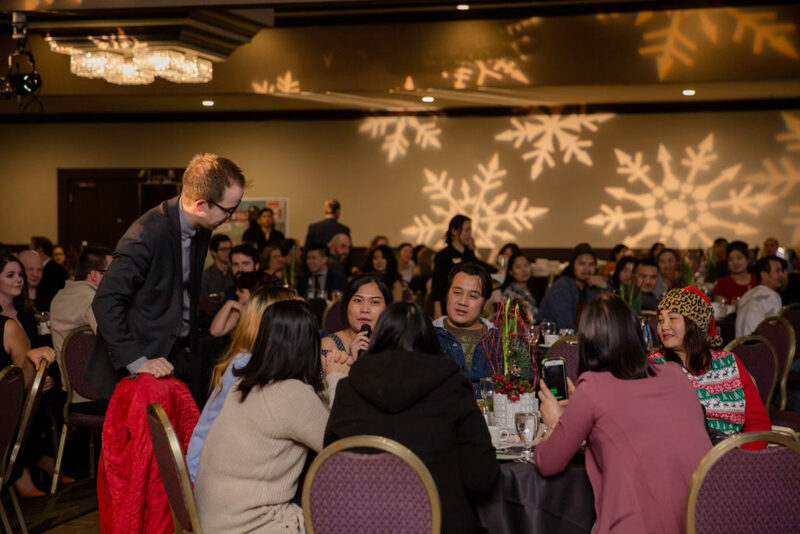 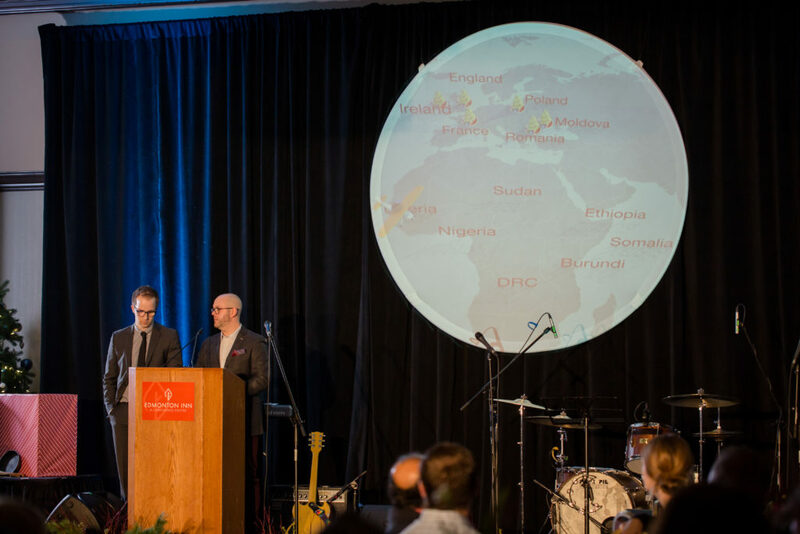 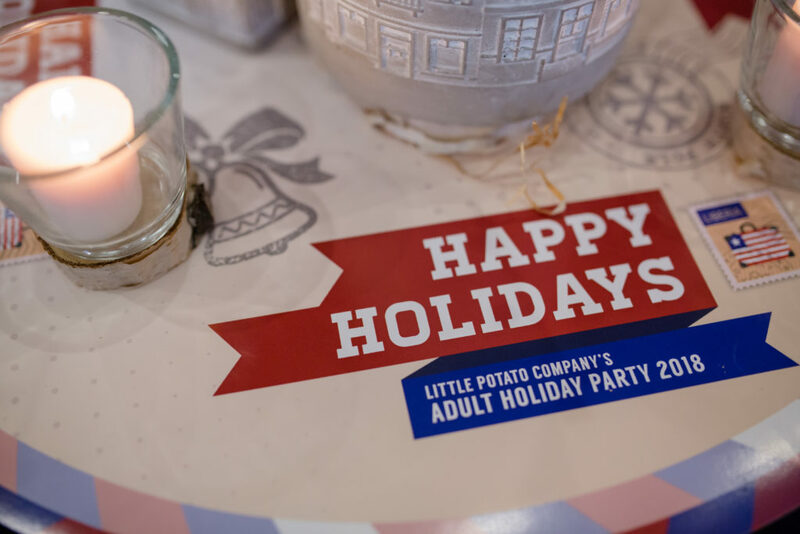 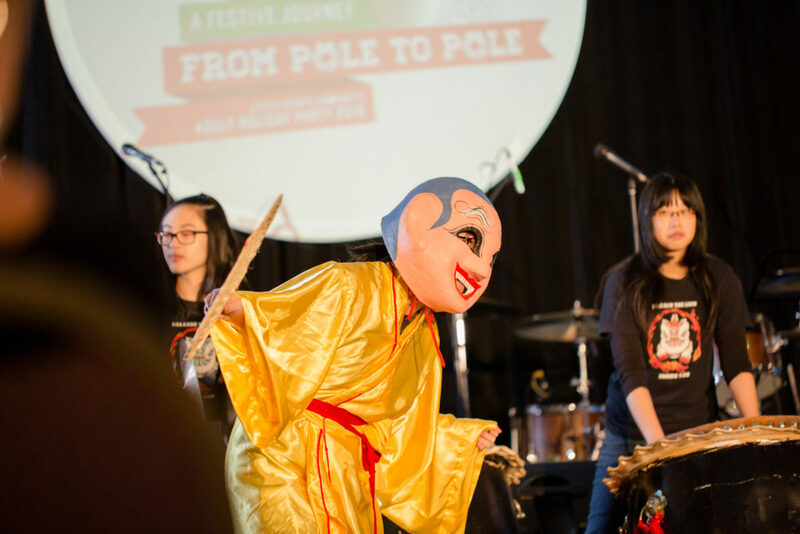 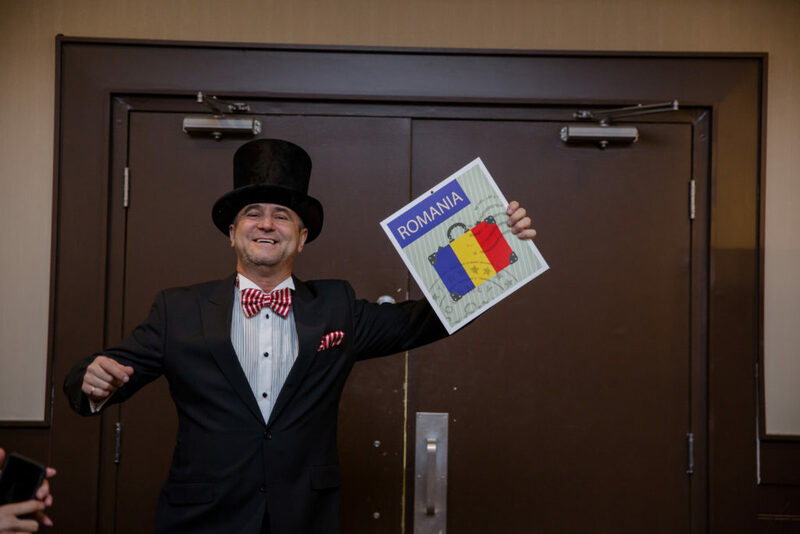 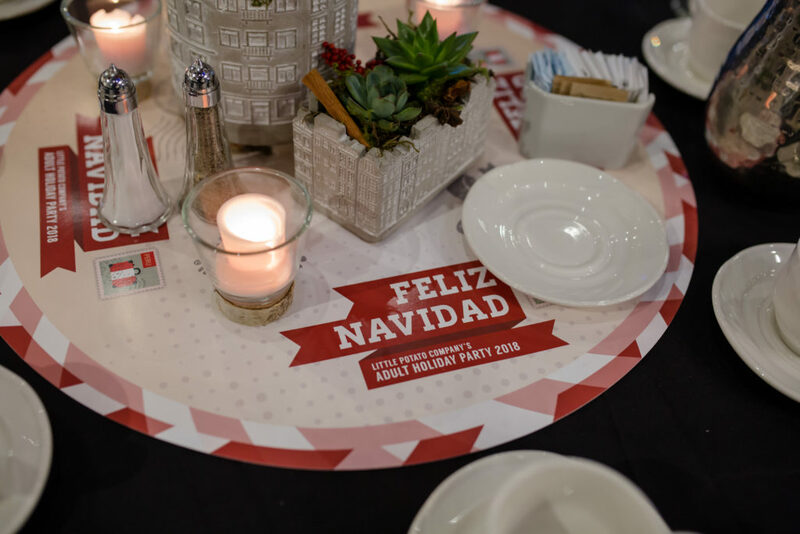 The theme of the 2018 Little Potato Company’s staff holiday celebration was inspired by celebrating the company’s employees and the various places they are from around the world, including traditions and unique facts that are unique to their country. 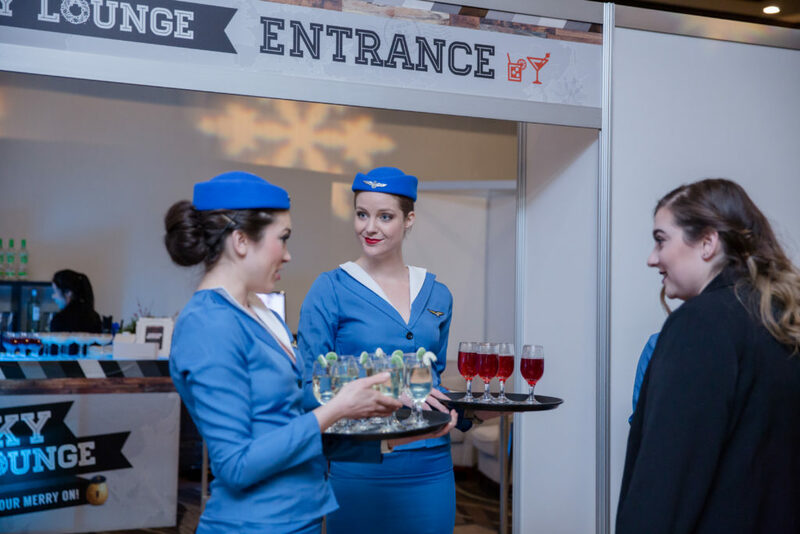 An impactful and thematic entrance way greeted guests upon their arrival, with the experience completed by our dedicated pilot welcoming everyone aboard. 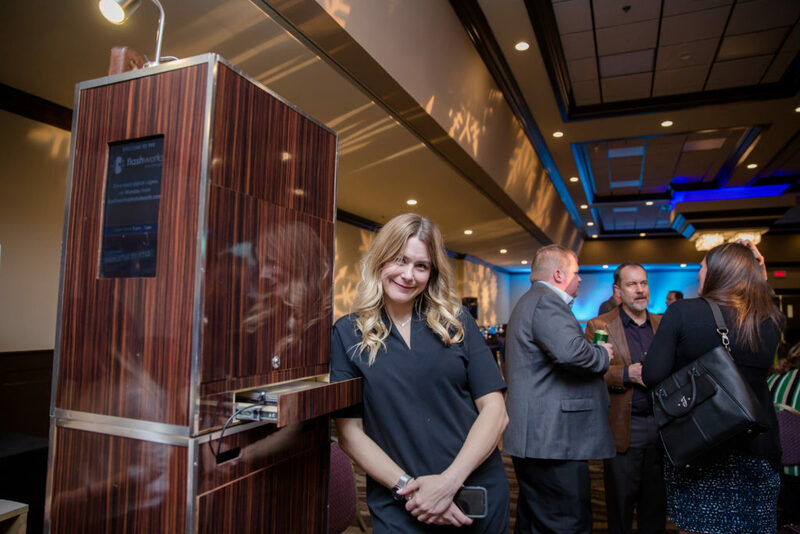 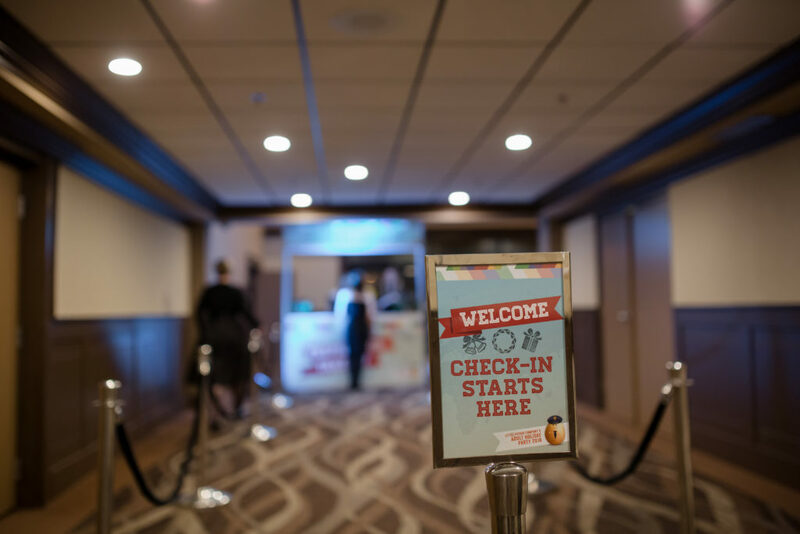 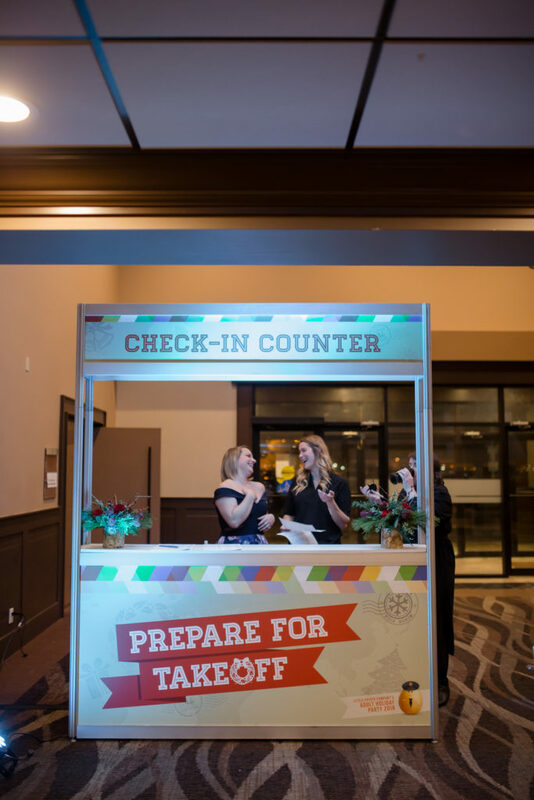 Guests checked in at our ticket kiosks and then proceeded into the main event space. 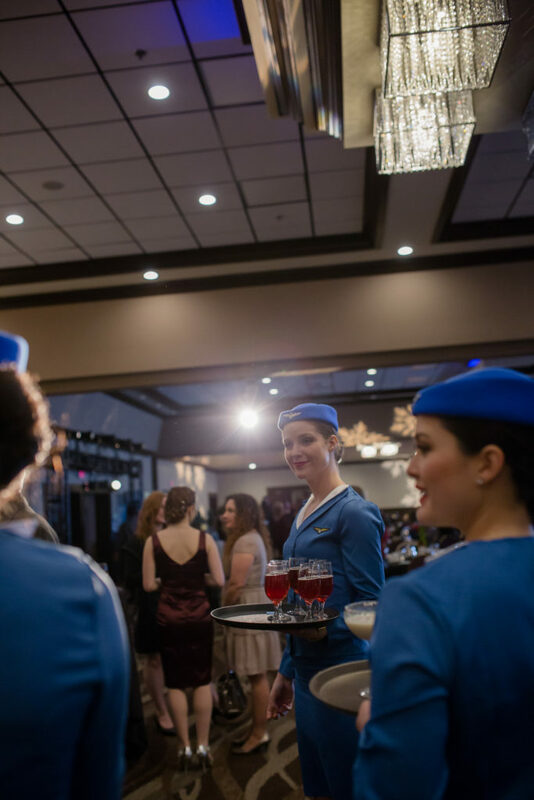 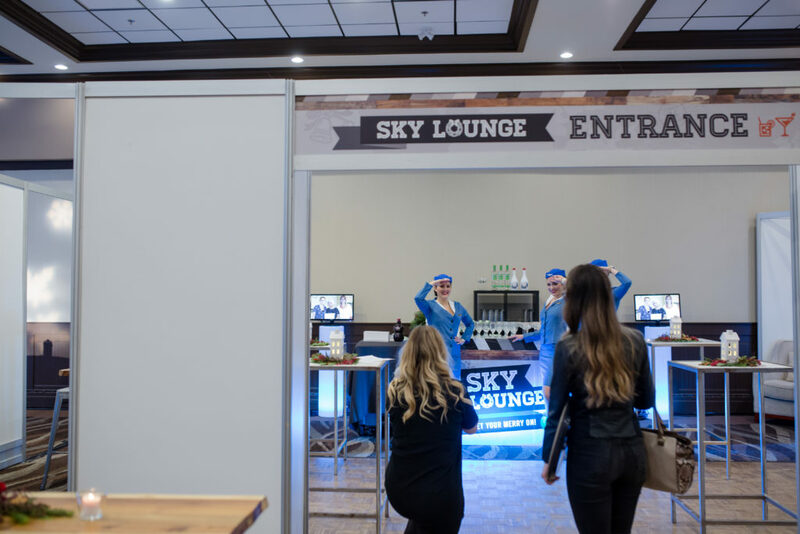 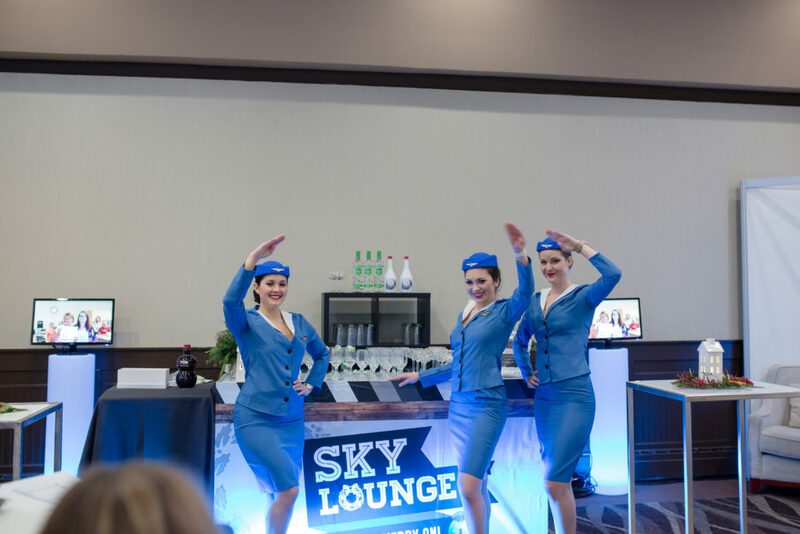 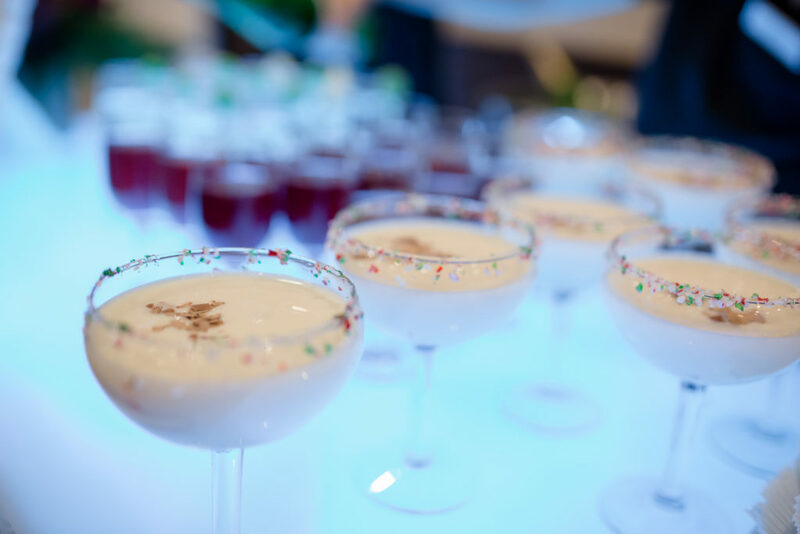 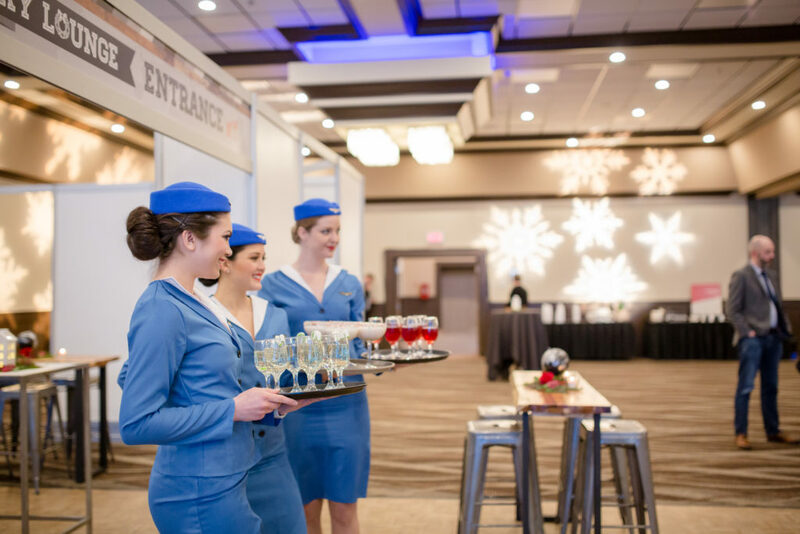 They were welcomed at the VIP Sky Lounge by our airline stewardesses and signature themed cocktails. 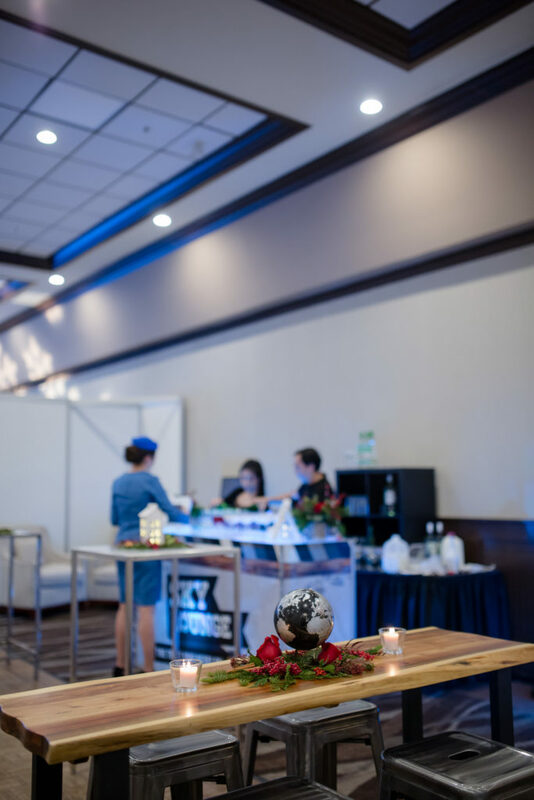 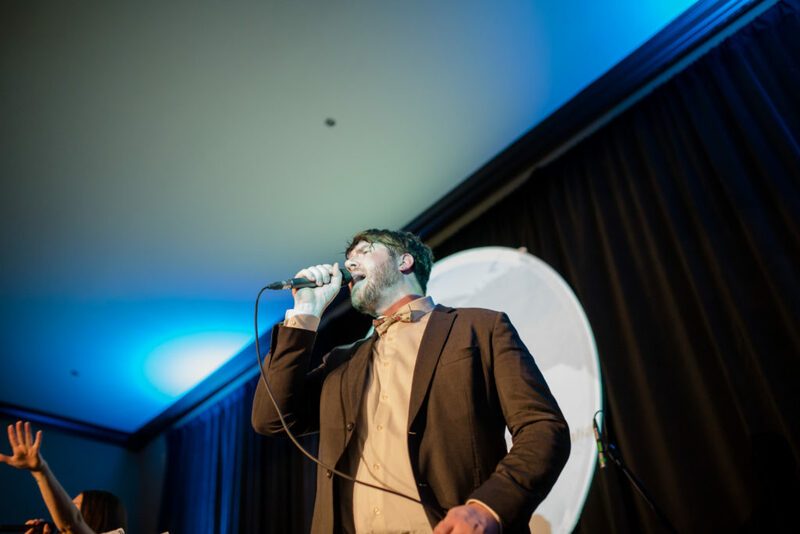 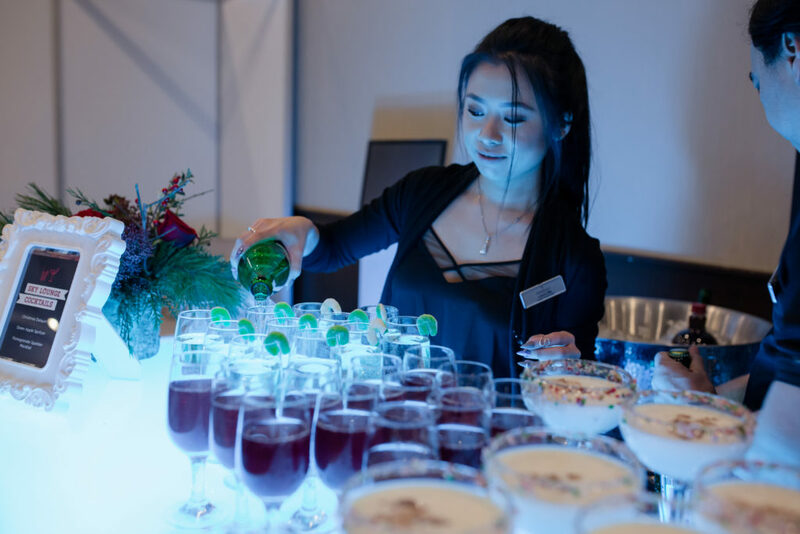 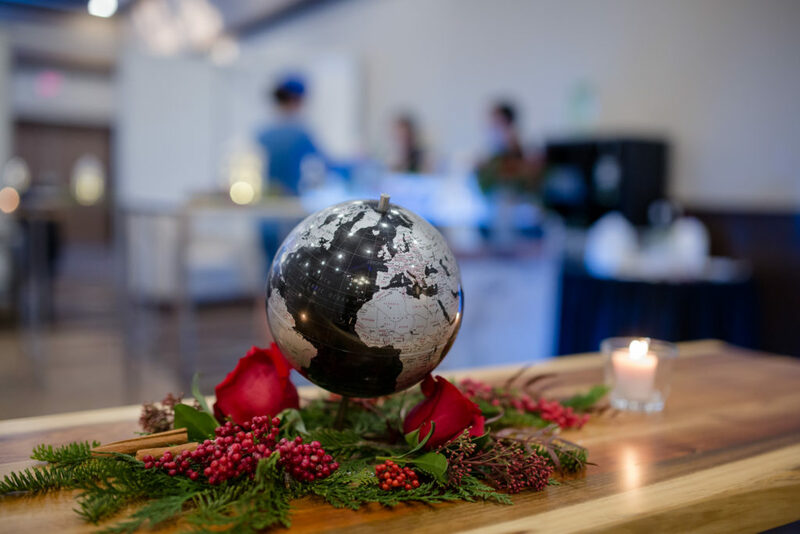 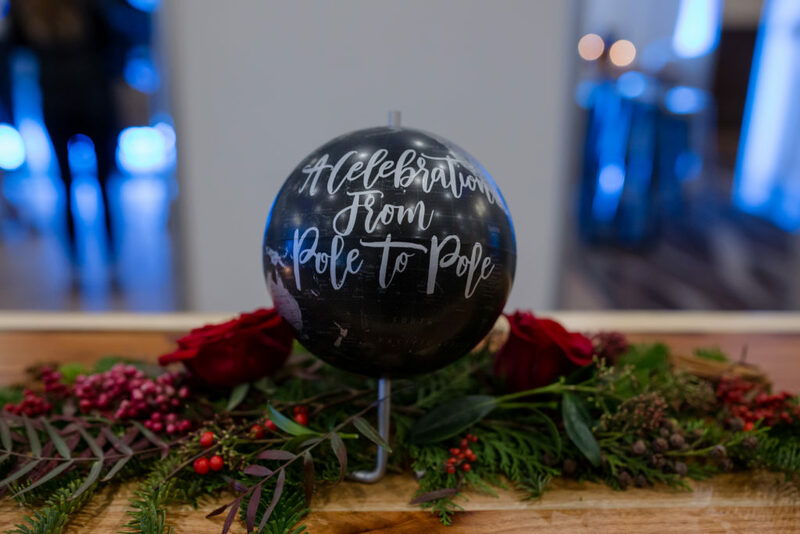 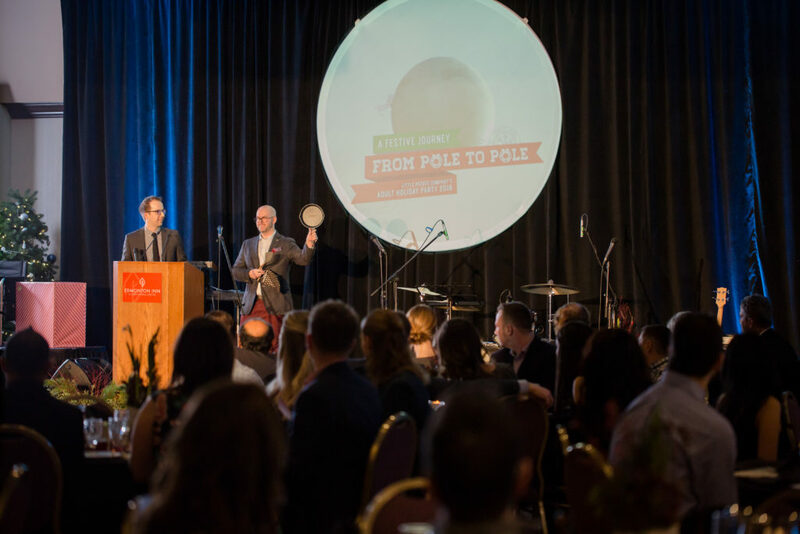 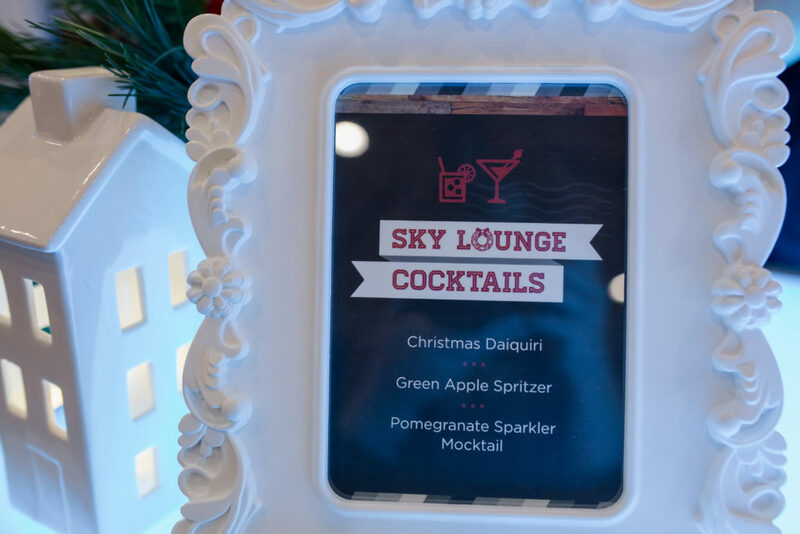 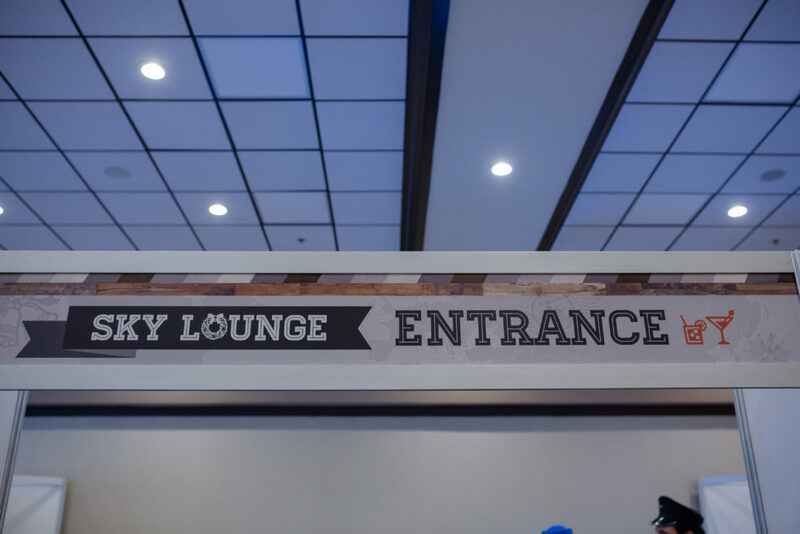 The VIP Sky Lounge featured lounge-style seating and custom-made calligraphy globes titled “A Celebration from Pole to Pole”. 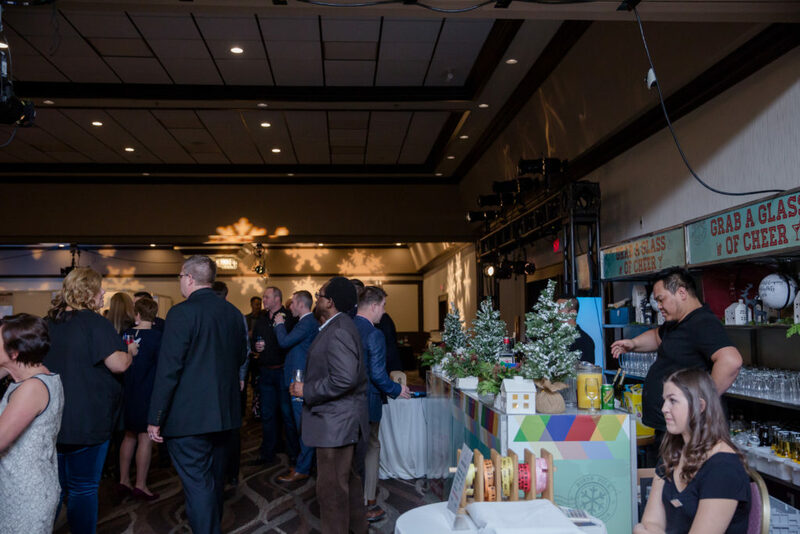 Screens were set up in prime visual areas that displayed photos from various 2018 company events and staff members. 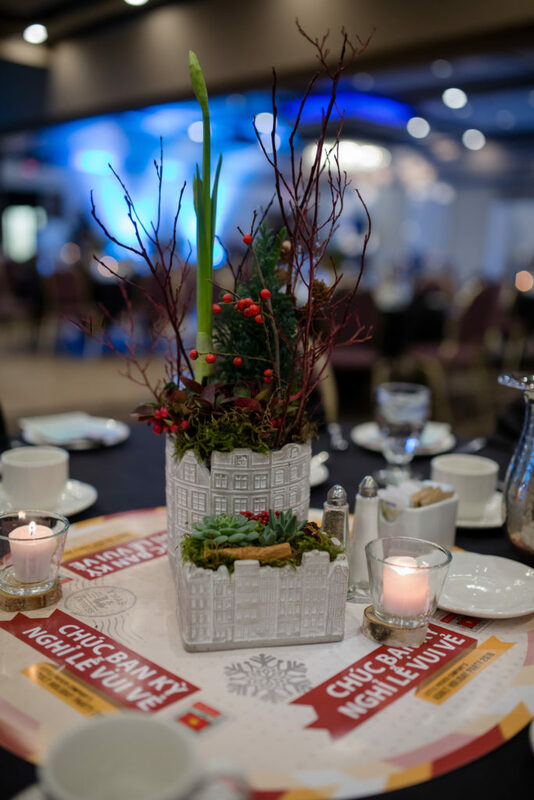 Guest tables featured centerpieces in town-inspired vases. 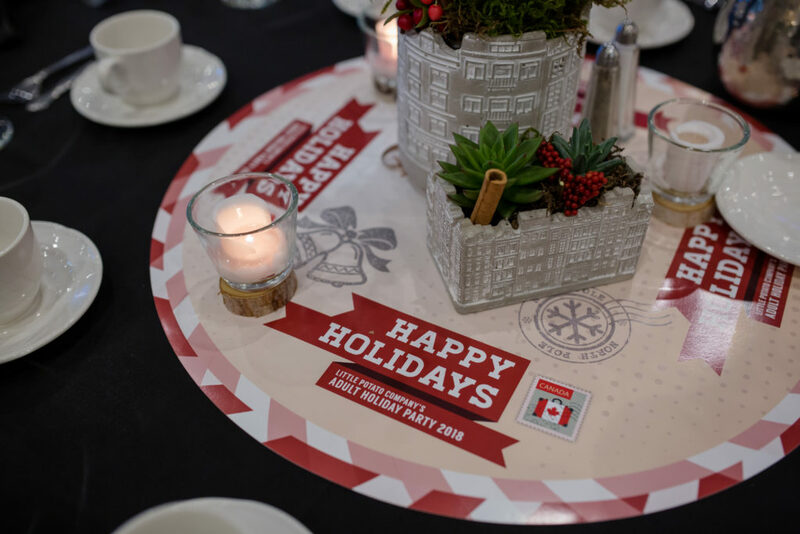 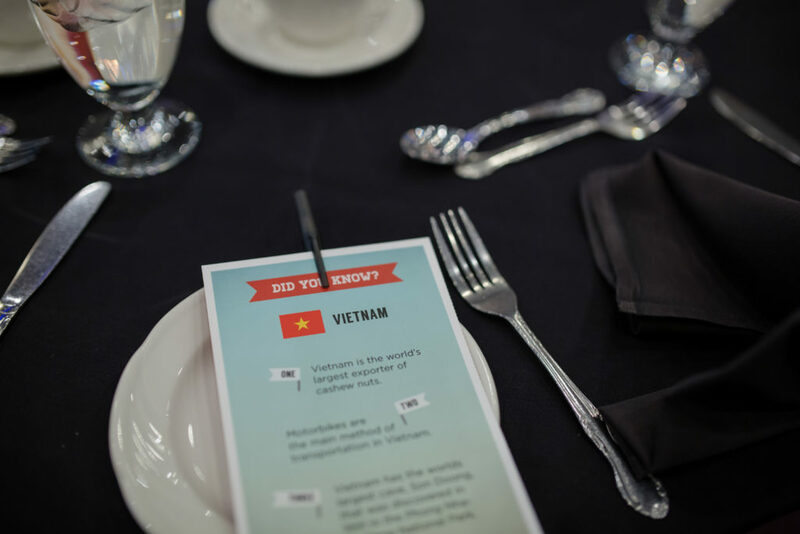 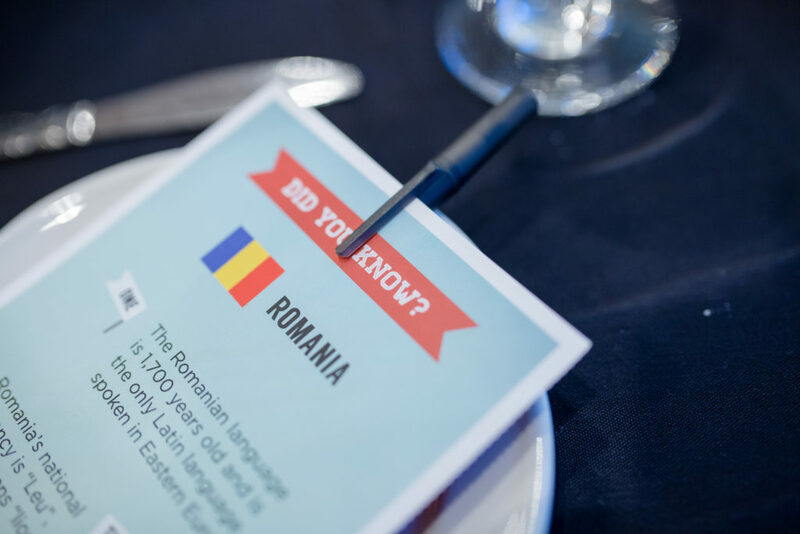 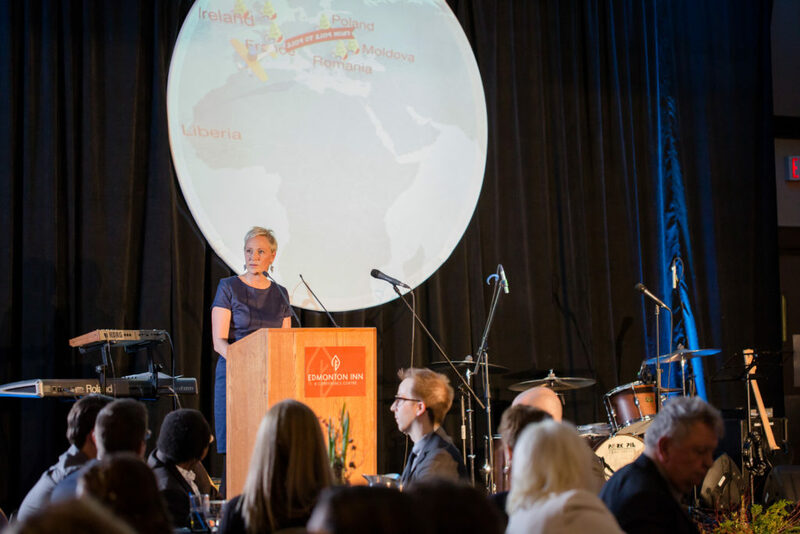 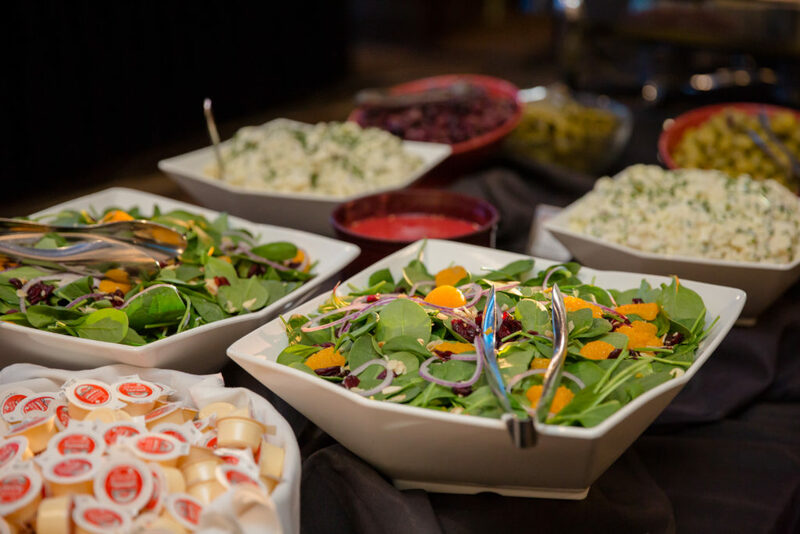 The centerpieces were set on custom-made placemats that were designed to feature a different country at every table, which represented the various 29 countries that the staff were from. 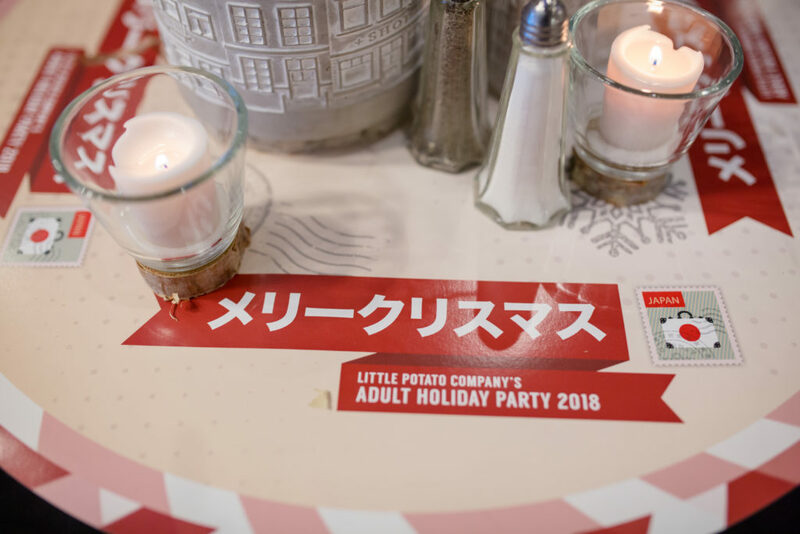 “Happy Holidays” was featured on the corresponding placemat in that respective country’s language. 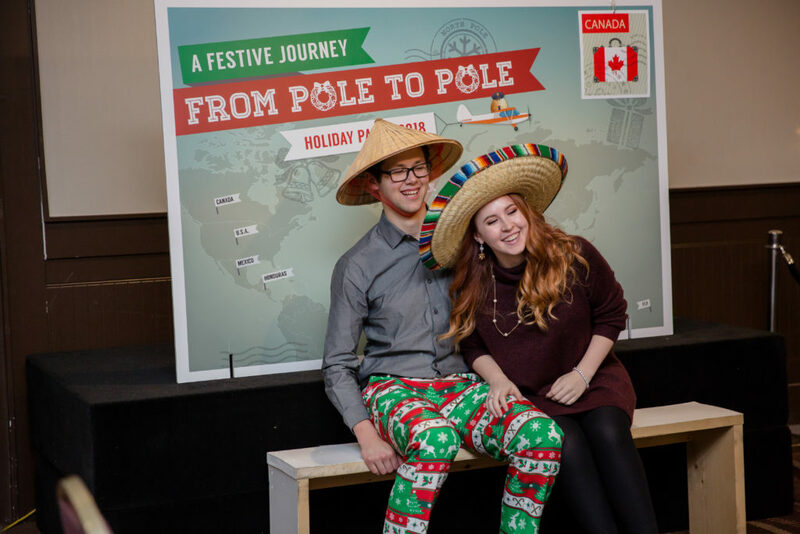 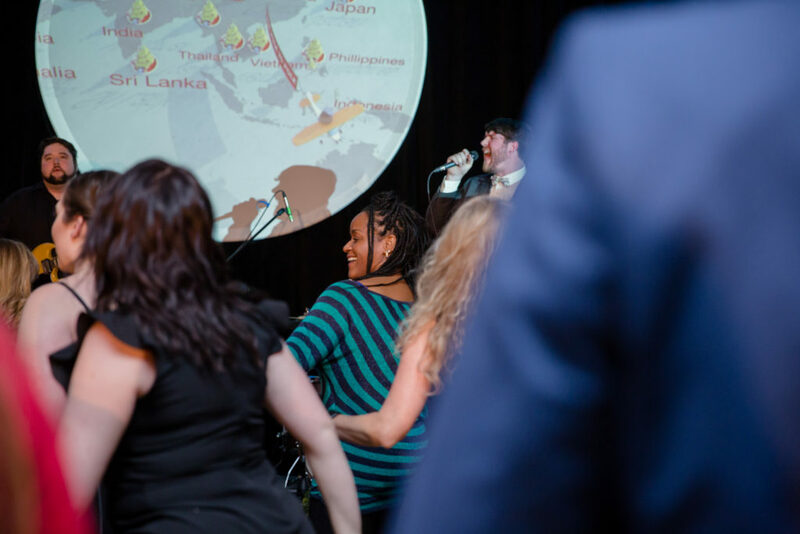 A true homage to the various countries that the LPC team all originates from all across the globe. 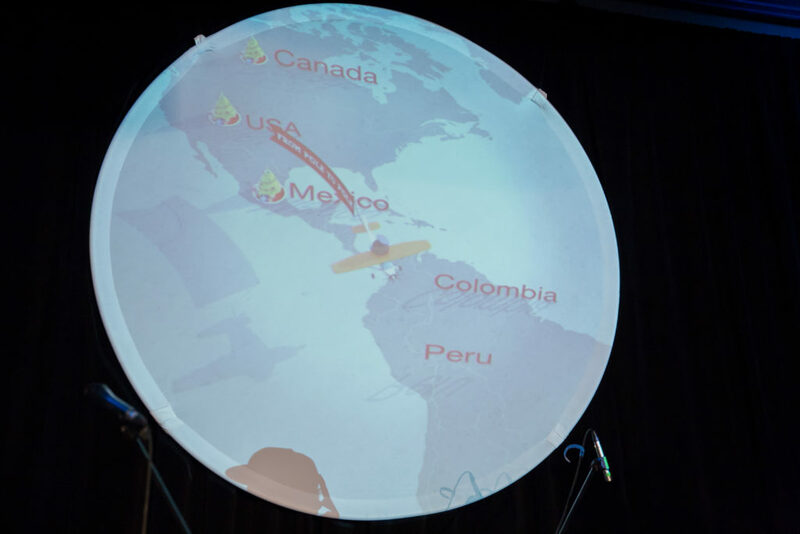 In terms of the stage design, foliage lined the front of the stage and tie into the centerieces. A giant animated globe with custom animation featured Pilot Spudley flying around the world dropping Christmas trees as markers to indicate all of the countries from which the staff came from. 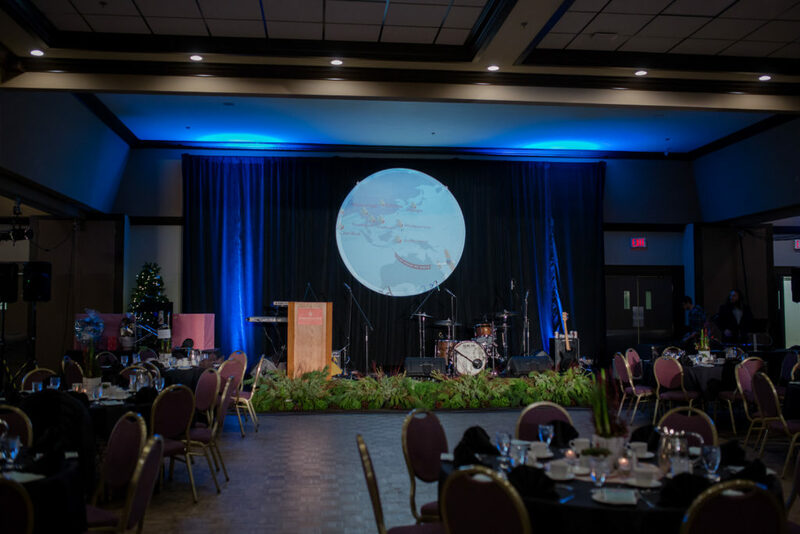 This presentation played throughout the event and during presentations and live entertainment. 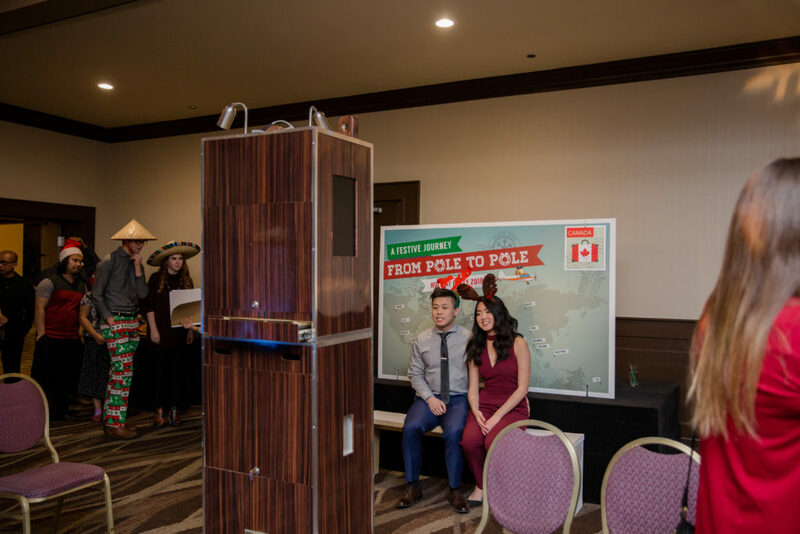 The photobooth featured a large-scale postcard design as the backdrop with interchangeable stamps, which guests could choose from 29 different countries. 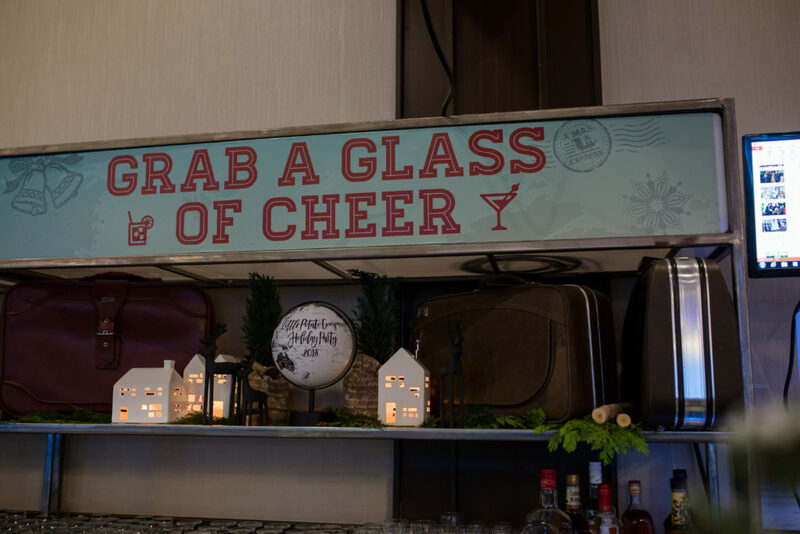 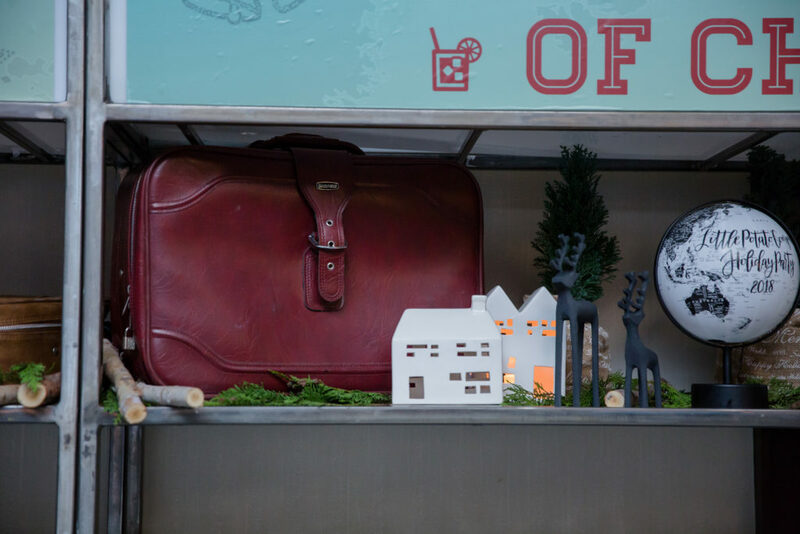 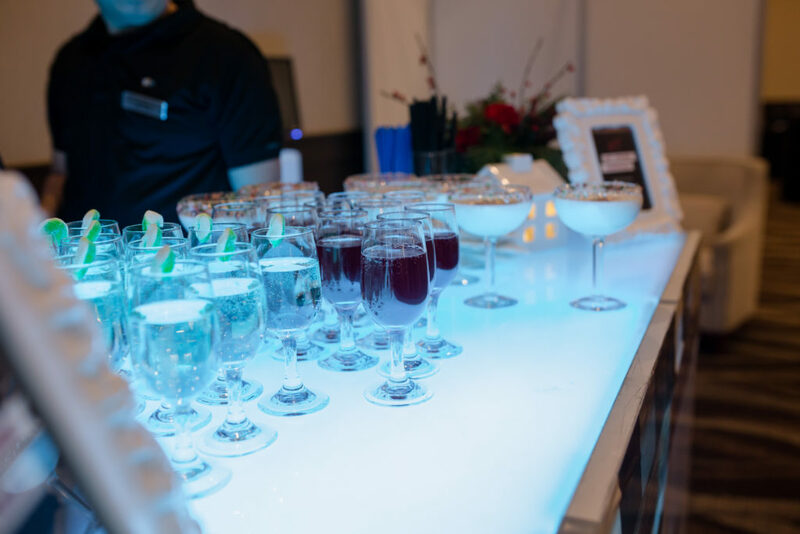 The standard bar featured a curated back bar, complete with calligraphic globes and suitcases, and custom signage to reflect the theme and incorporate the travel theme. 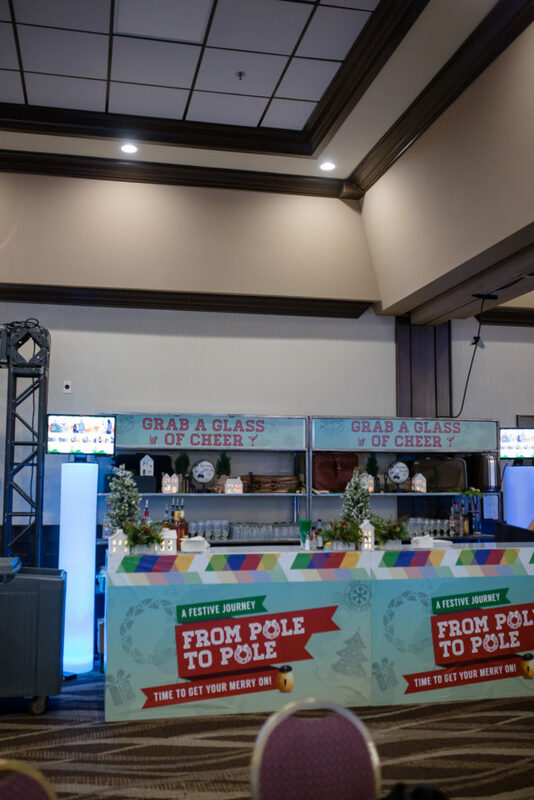 Screens were also set up while guests could watch when waiting in line., showing photos from various events that the company had hosted throughout the year. 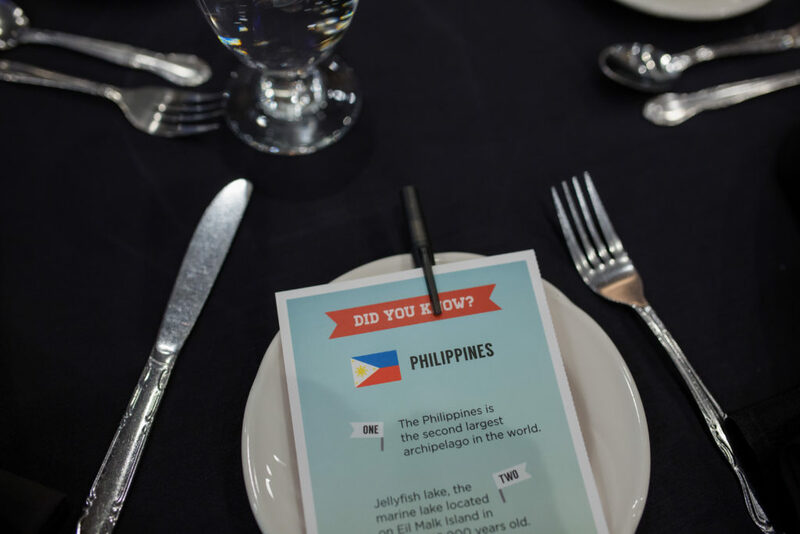 The gamification component for this year’s event featured a passport contest. 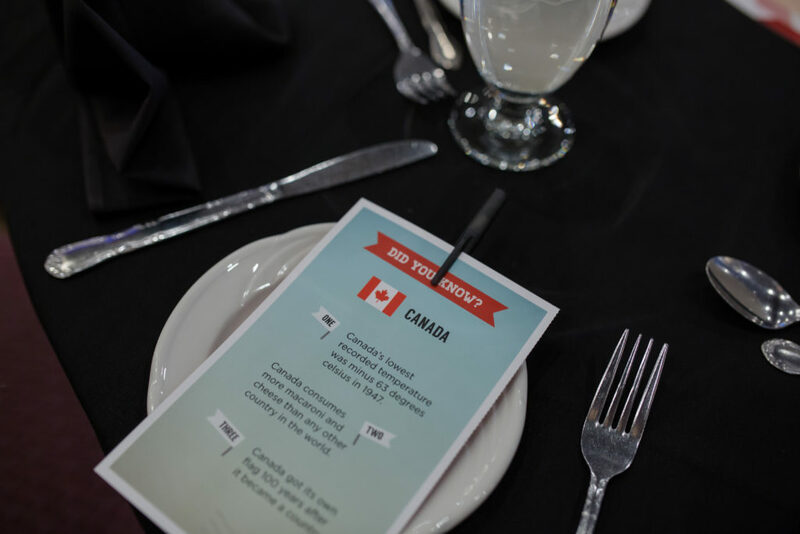 Each guest received a passport at their place setting. 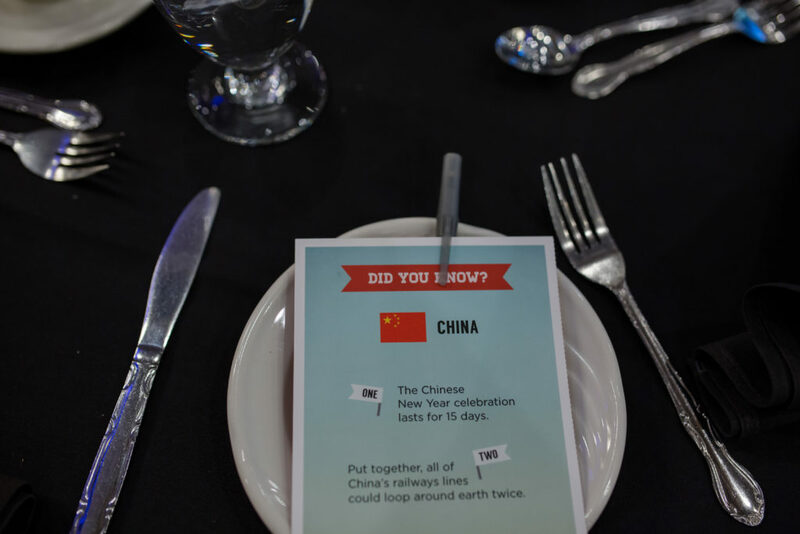 They were assigned a country specific to the country of their table. 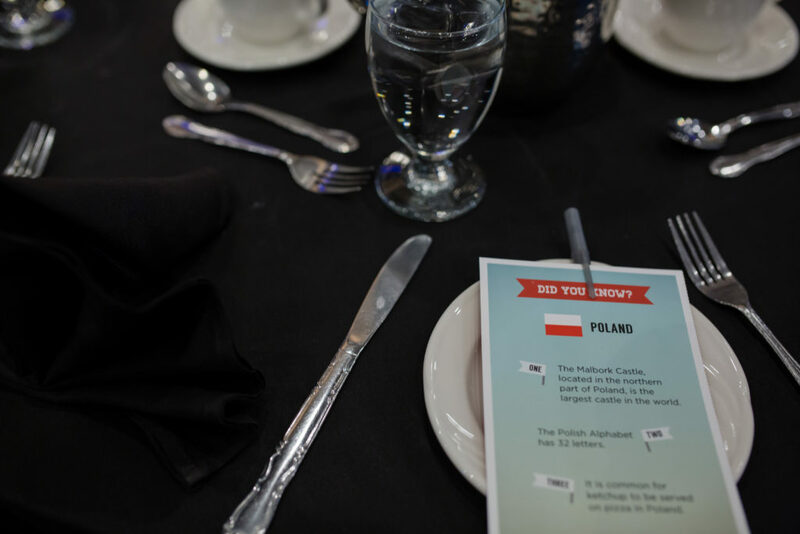 There were three facts that were noted on the inside of their passport specific to their country and then three questions on the other side of their passport that posed questions specific to three other different countries. 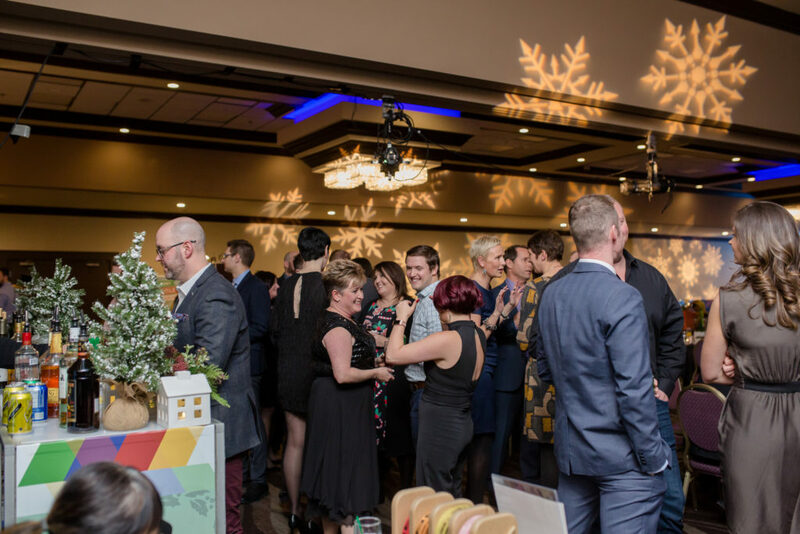 This encouraged guests to be up and about, mixing and mingling with their colleagues and moving about the space. 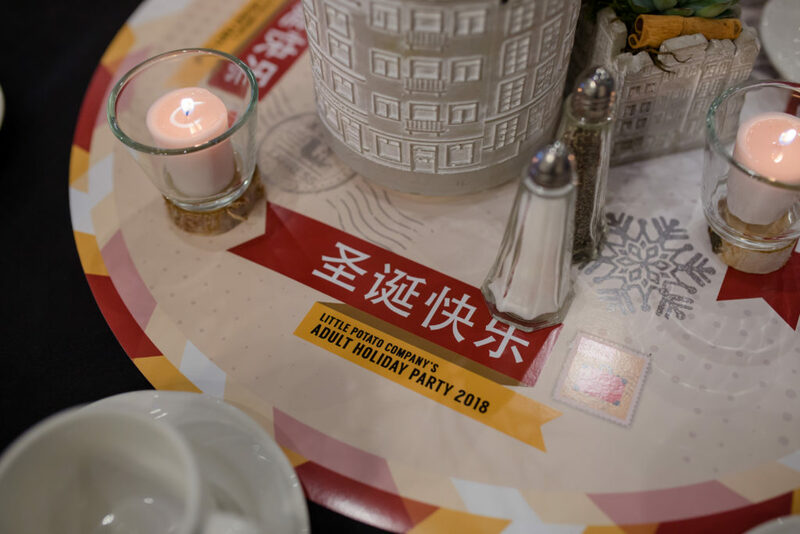 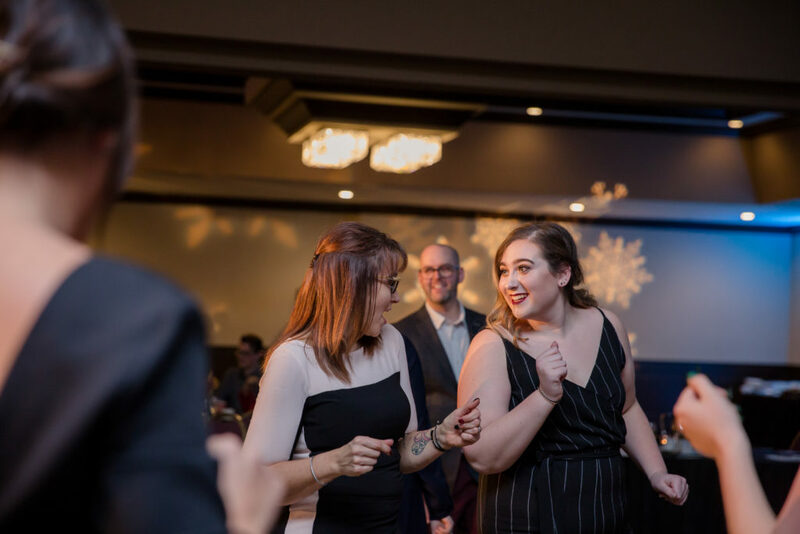 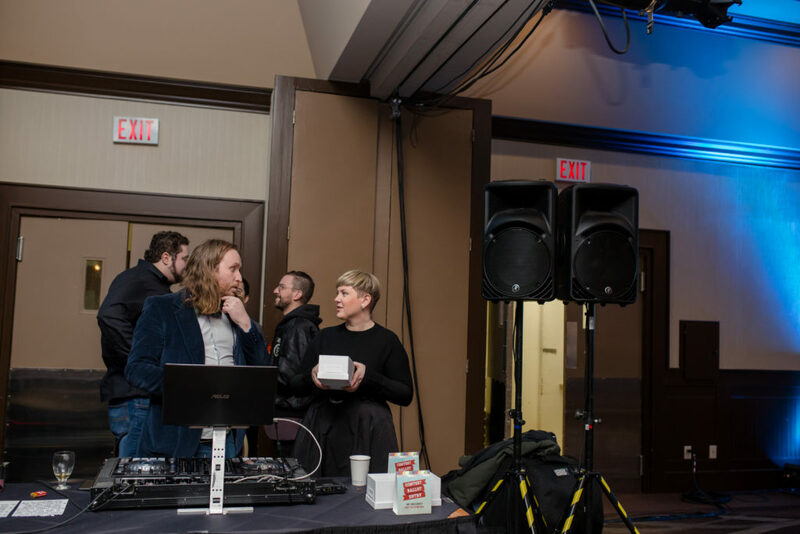 When the three correct answers were collected, guests would submit their ballots in hopes of winning prizes that were given out later that evening. 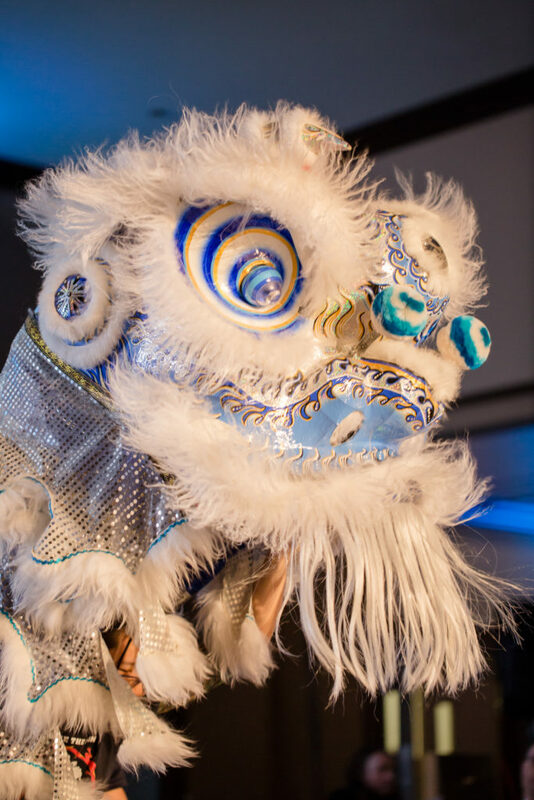 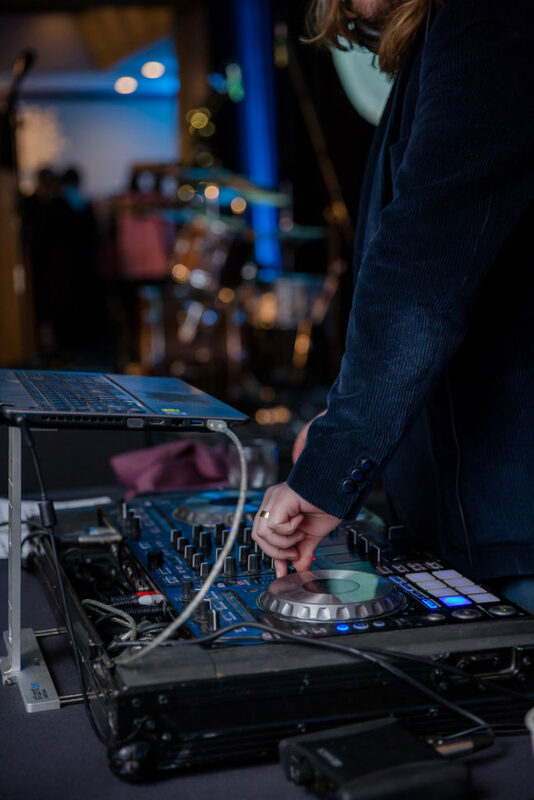 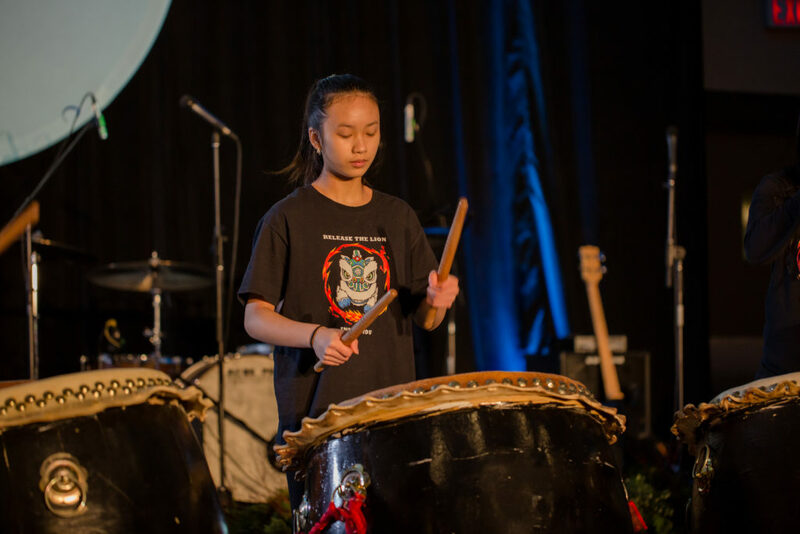 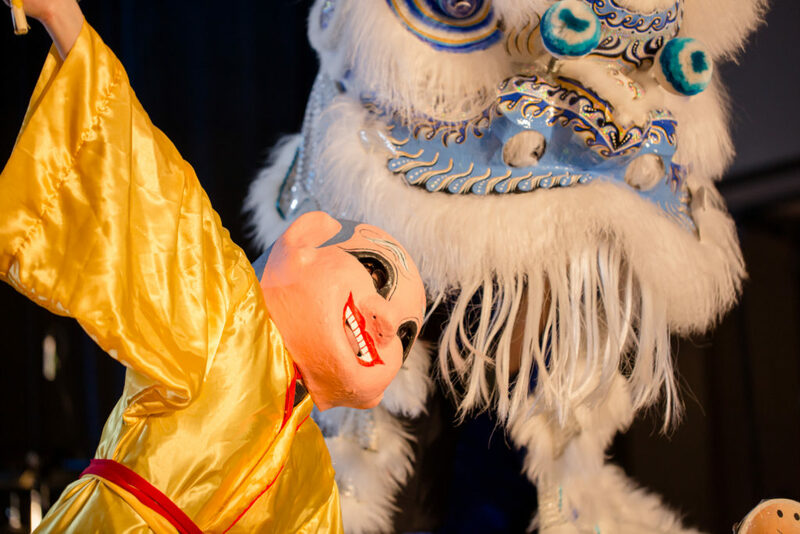 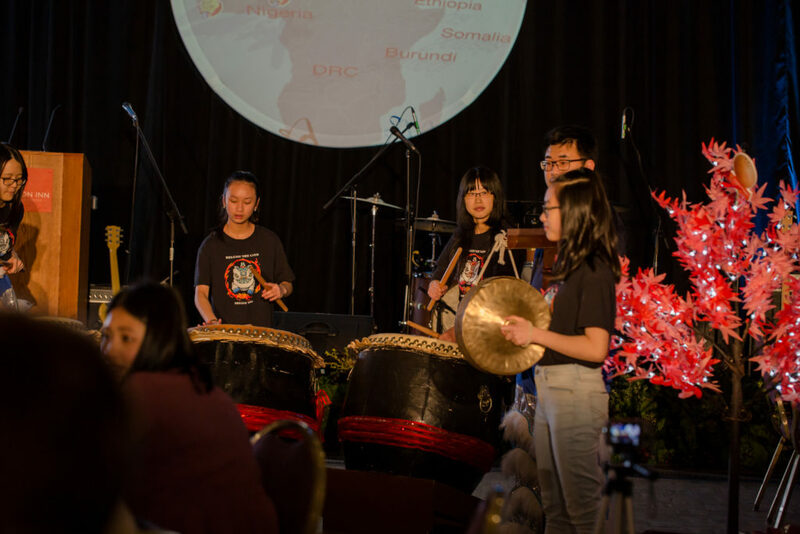 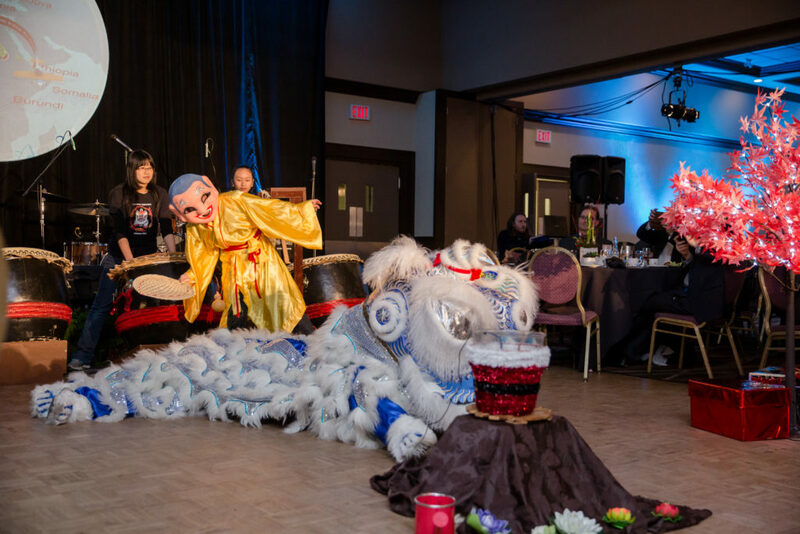 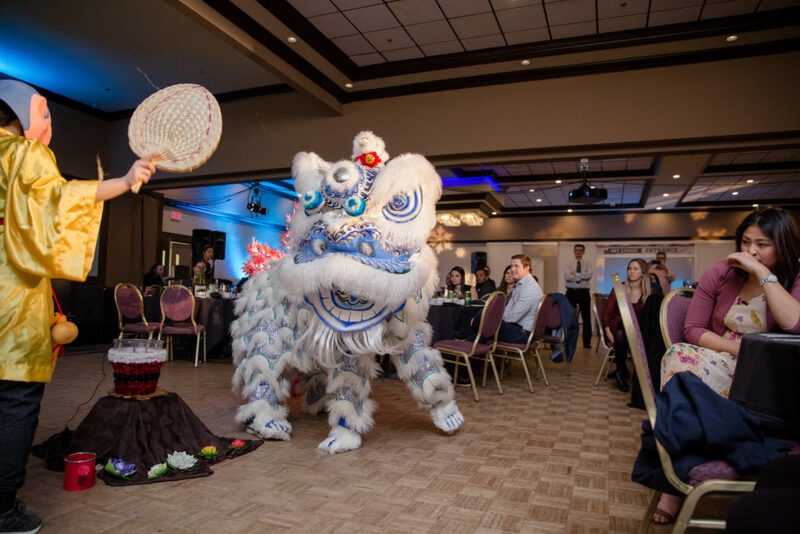 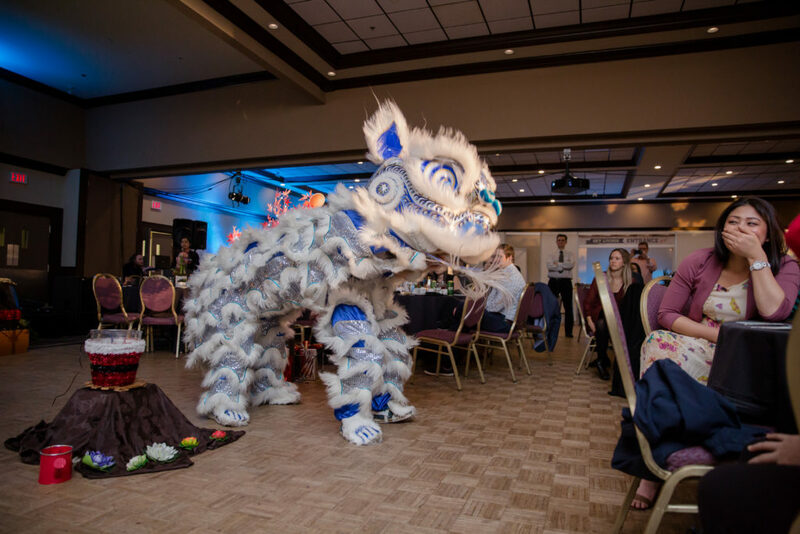 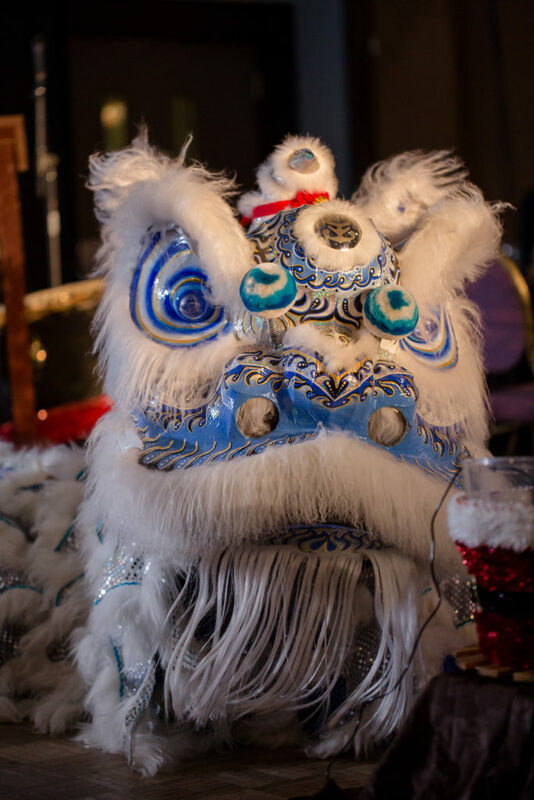 Live entertainment featured a DJ and live band, along with a live lion dance and drum performance. 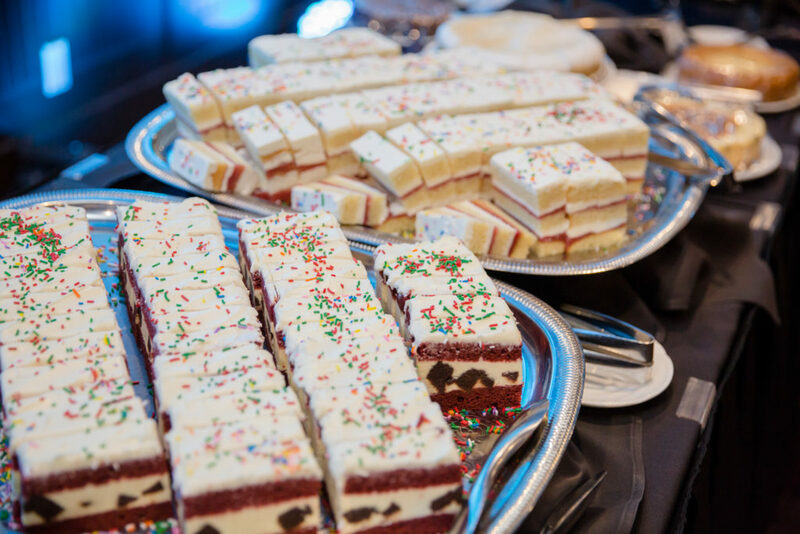 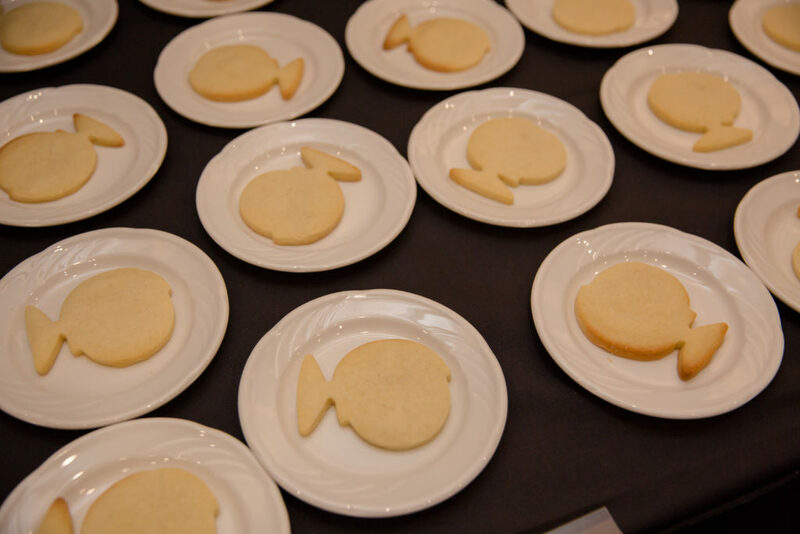 Globe biscuits were also custom made and set out at the coffee and tea stations that guests could indulge in after dinner was served. 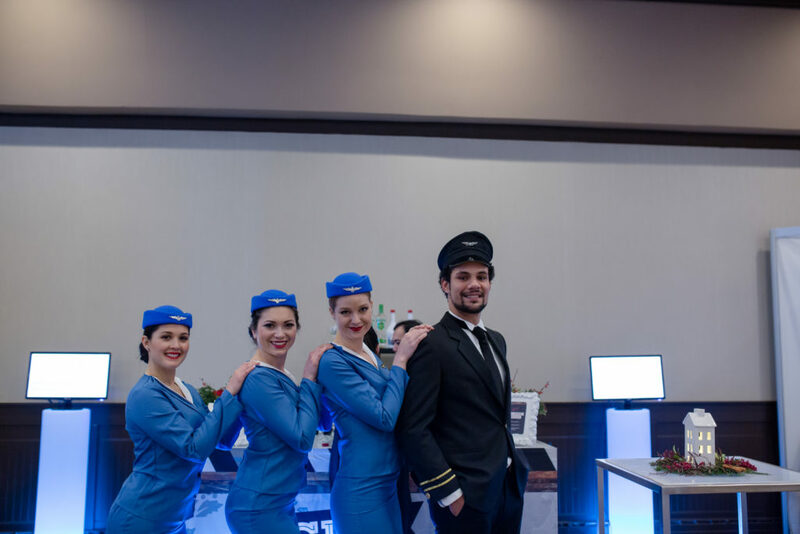 A late night snack station featured in-flight snacks that would cater to those late night cravings. 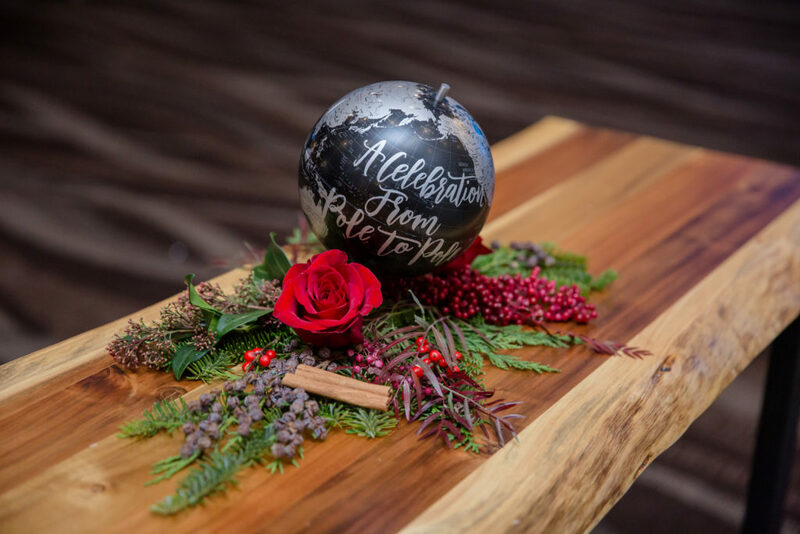 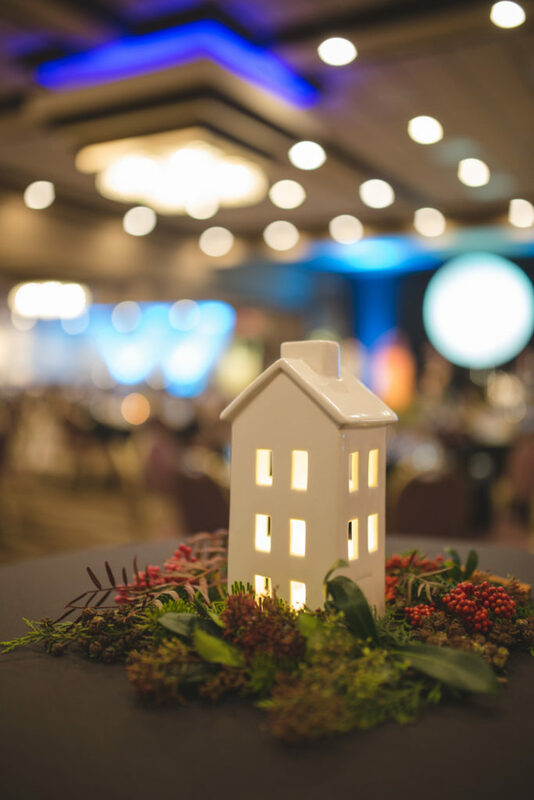 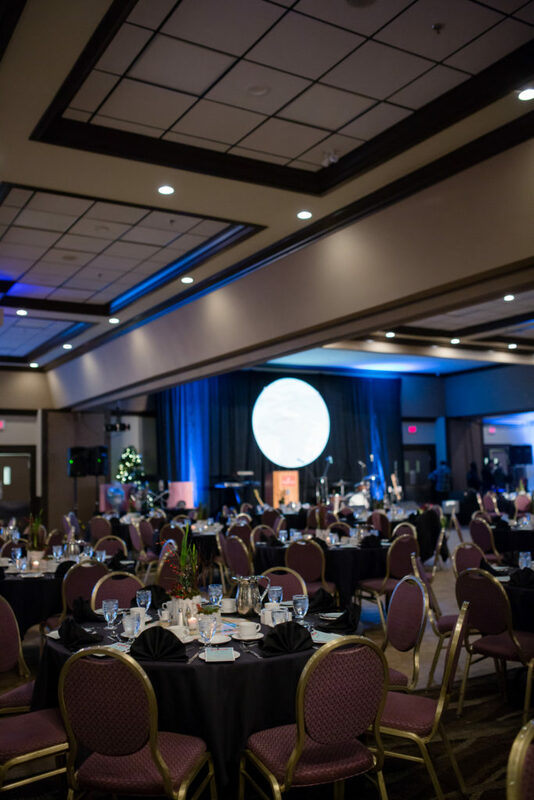 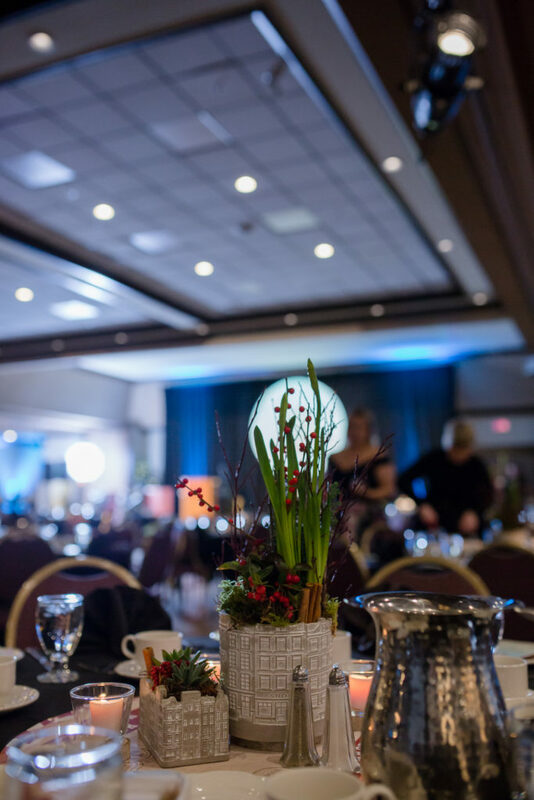 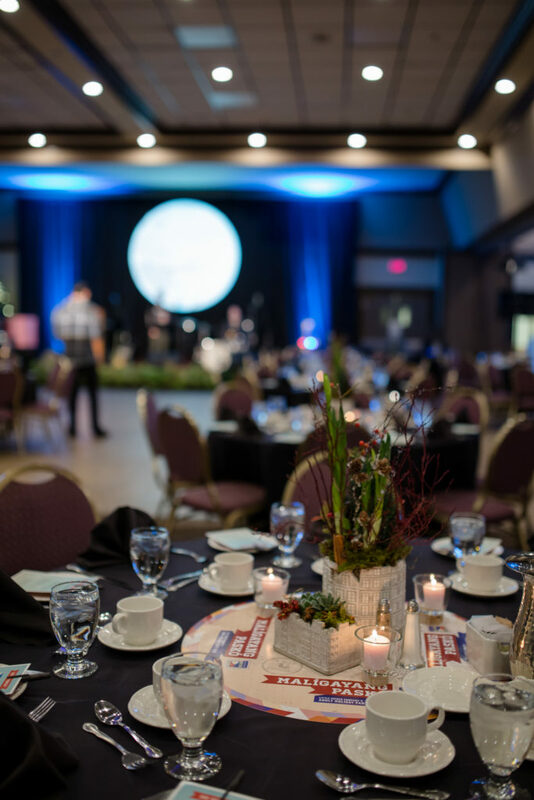 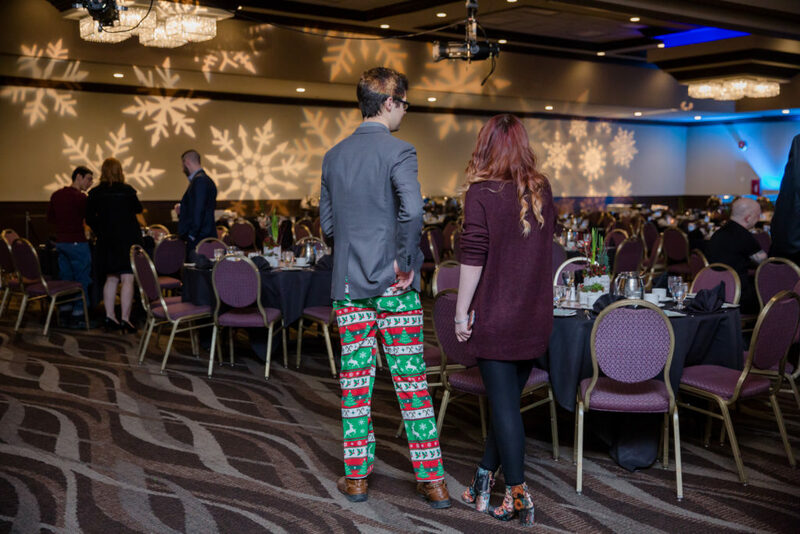 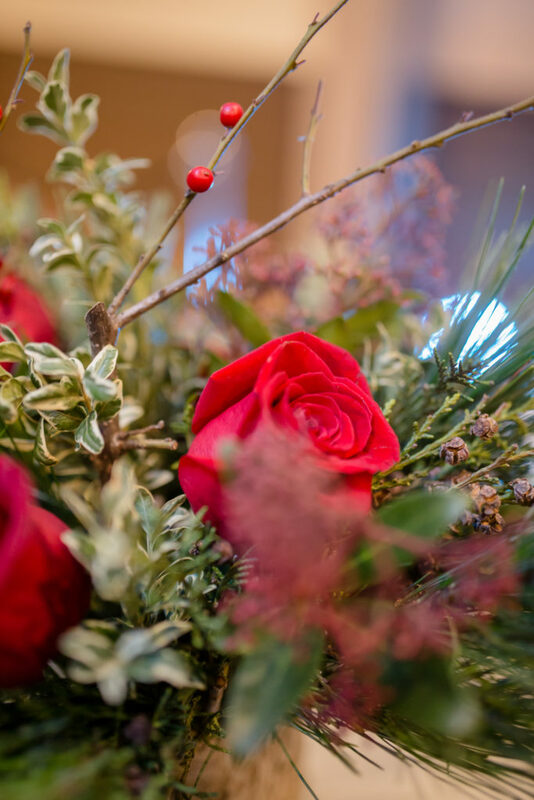 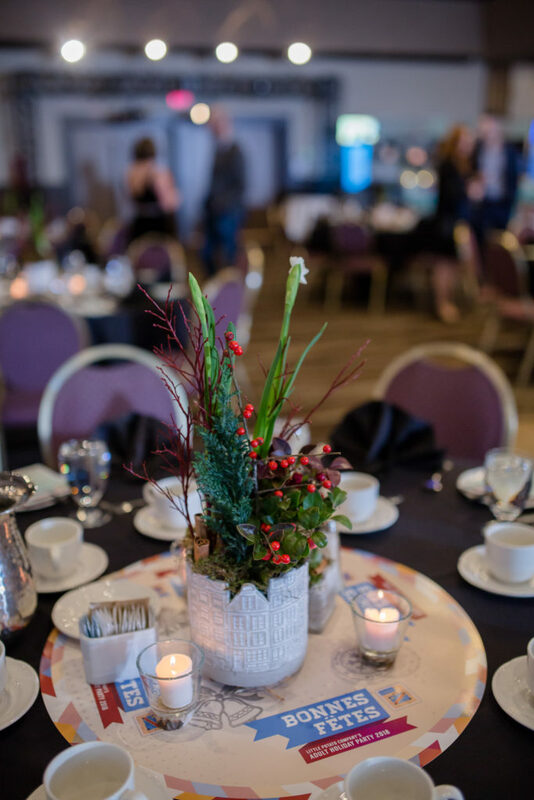 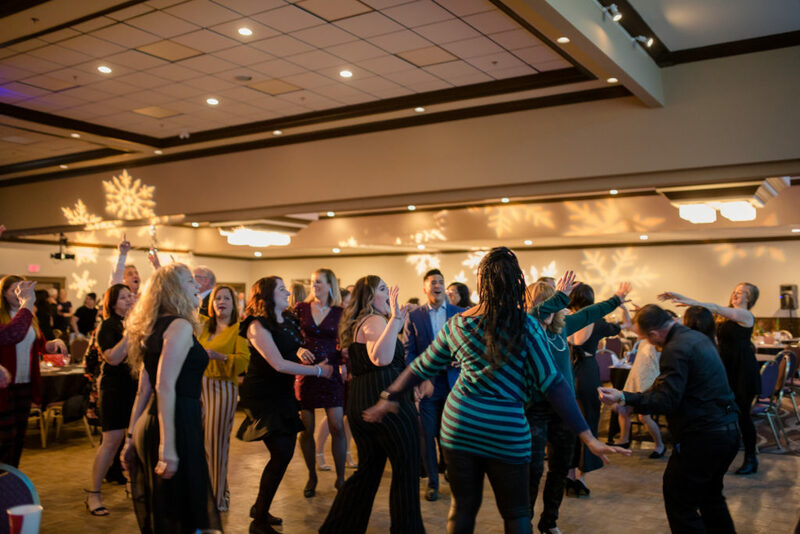 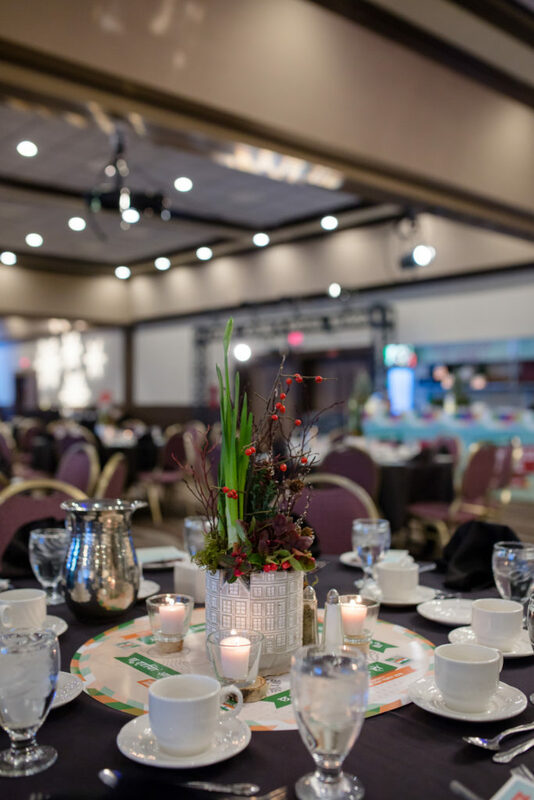 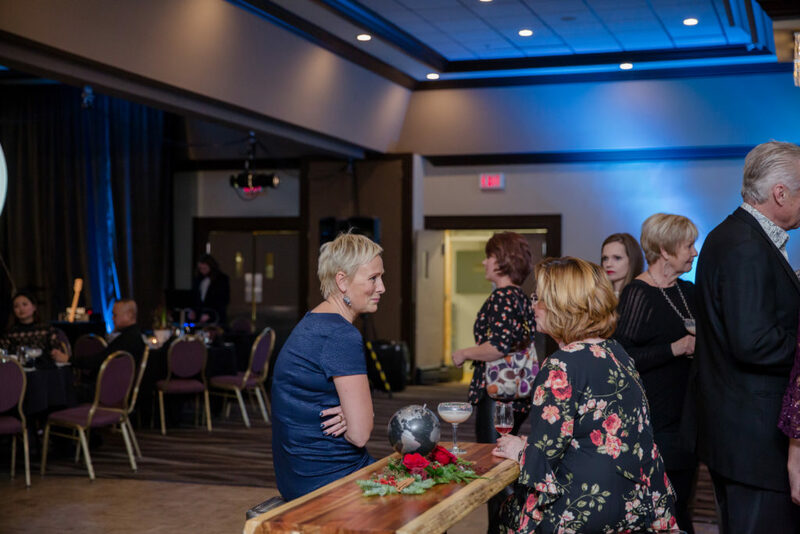 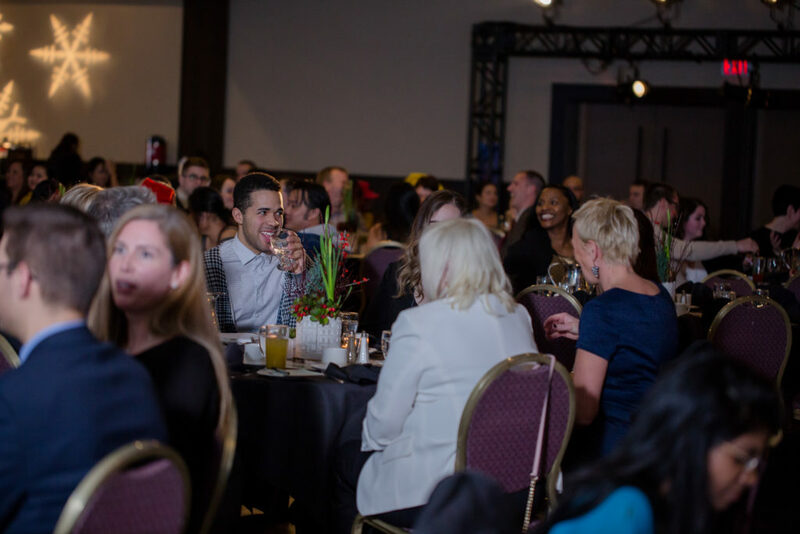 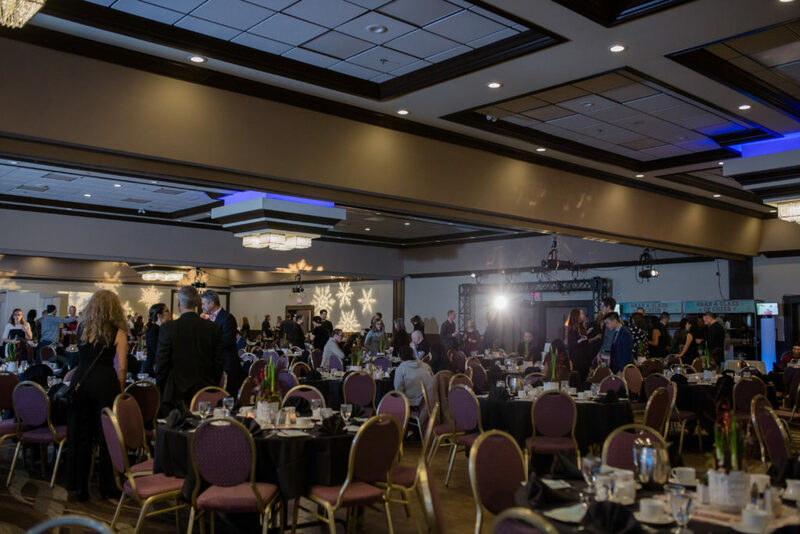 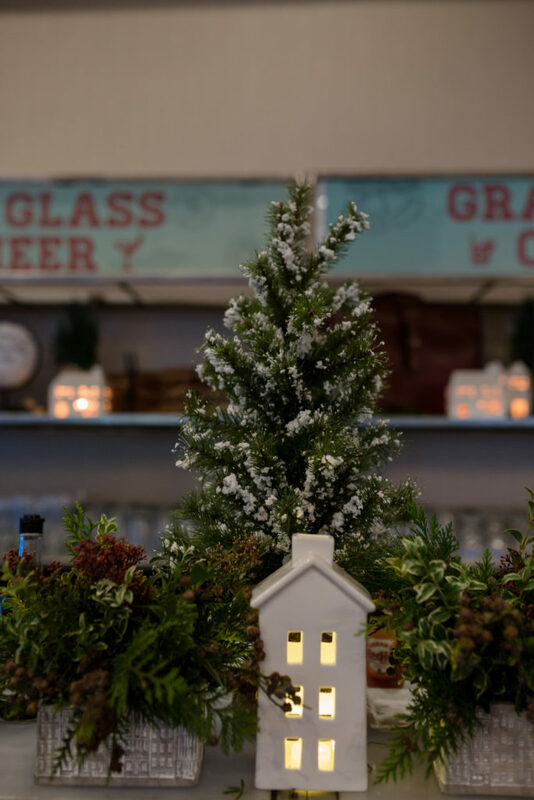 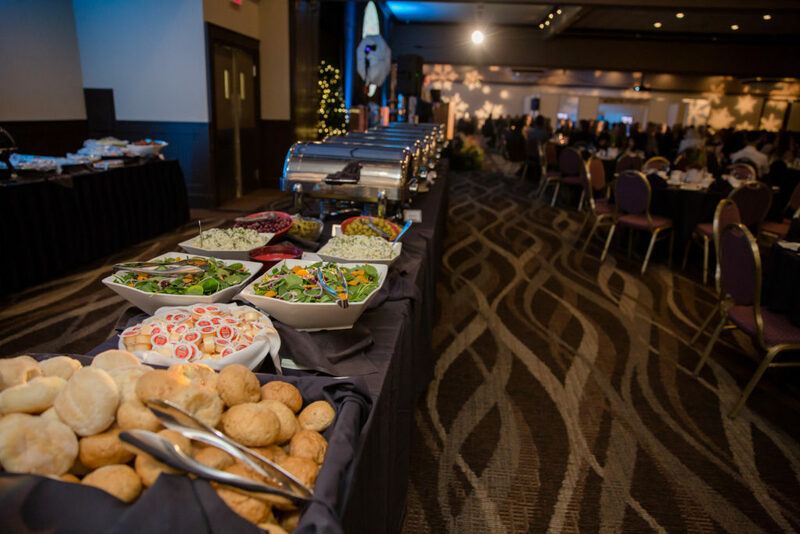 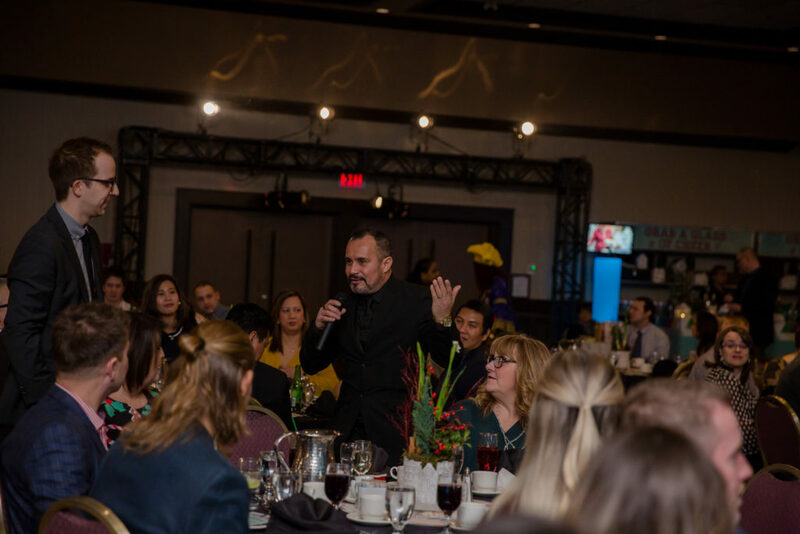 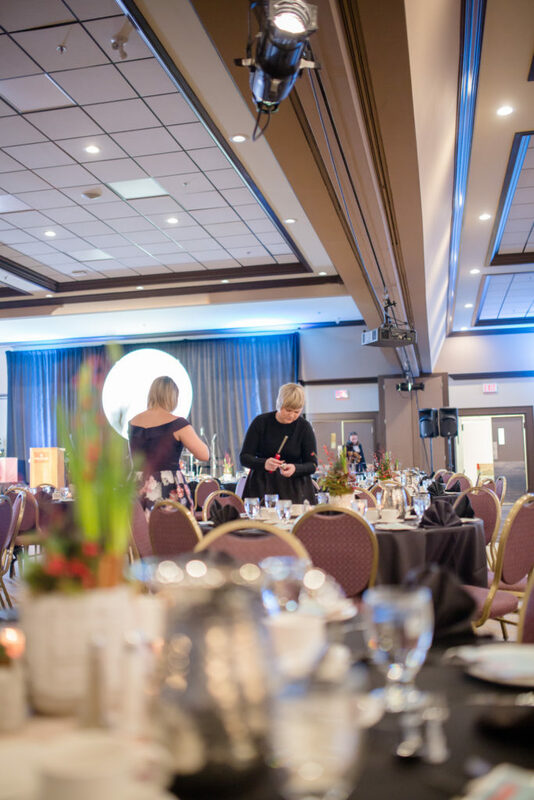 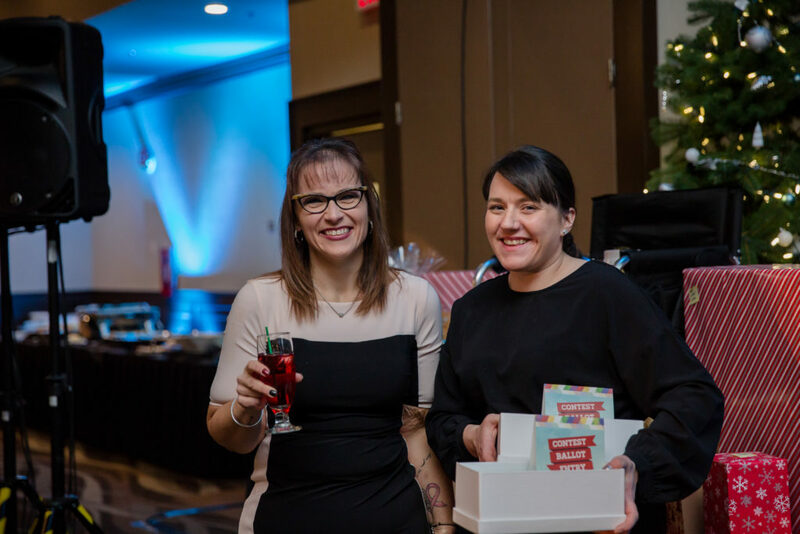 We are proud to note that, in partnership with Stems from the Heart Edmonton, all of the centerpieces and foliage were donated to The Compassion House and several other recipients.